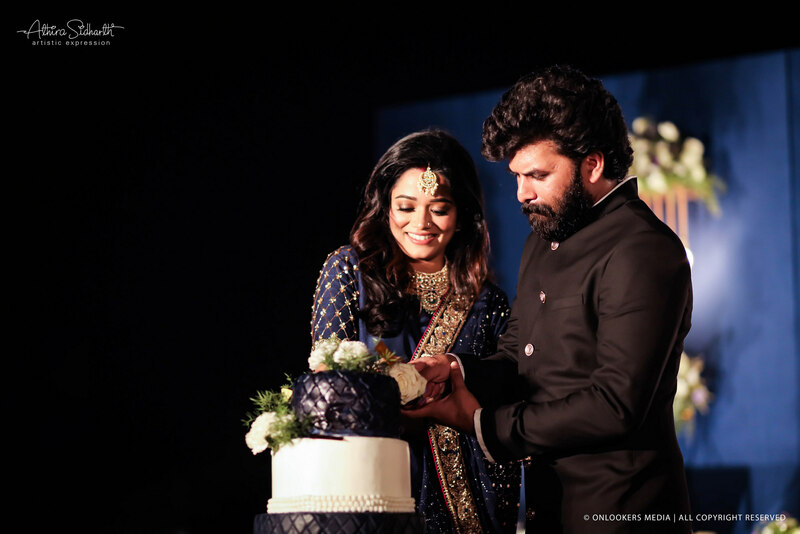 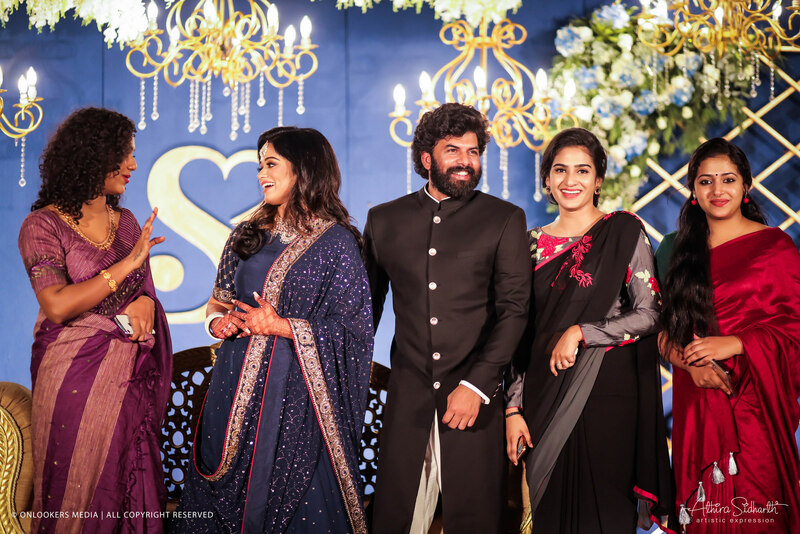 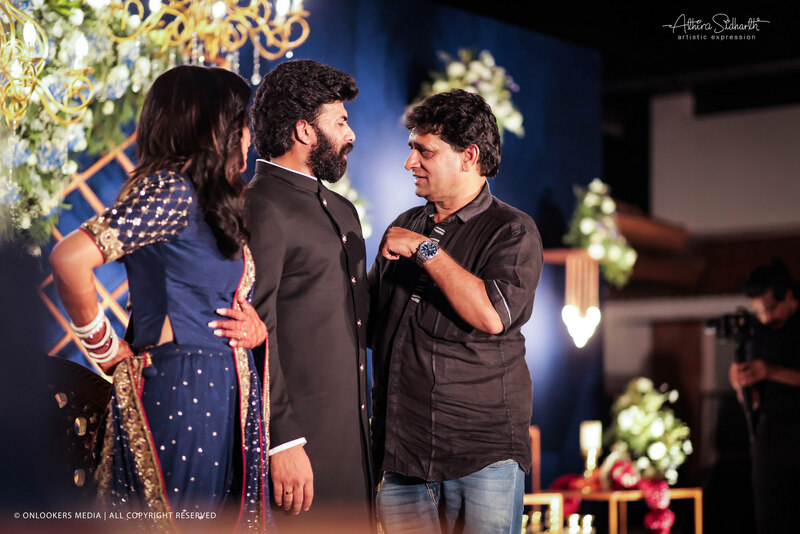 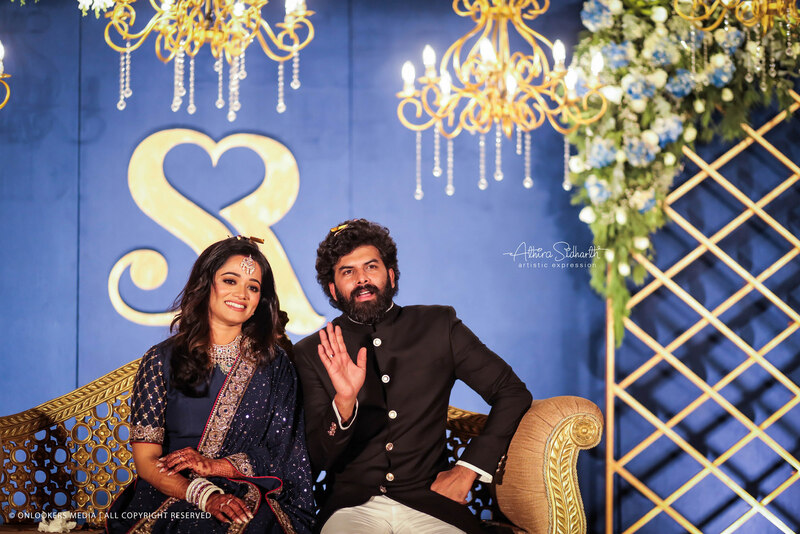 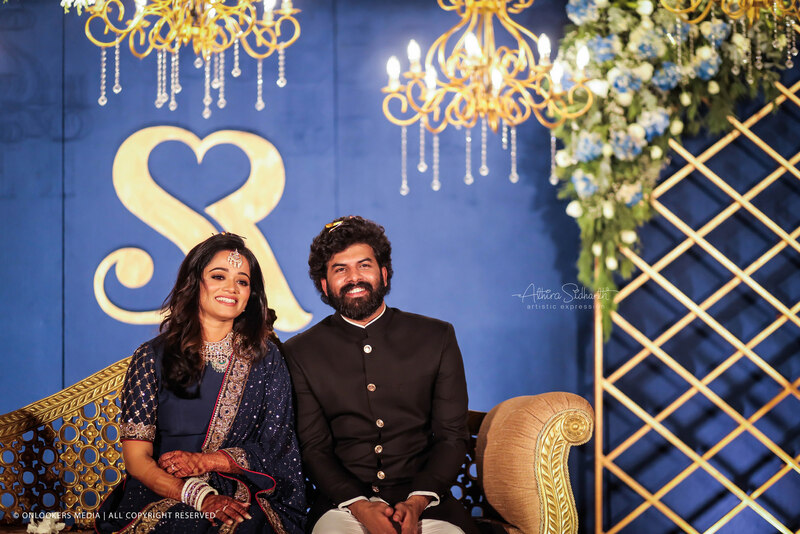 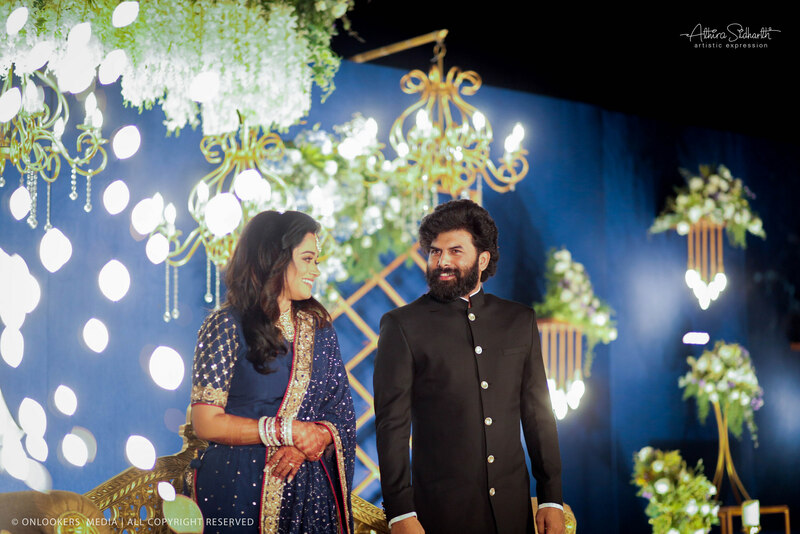 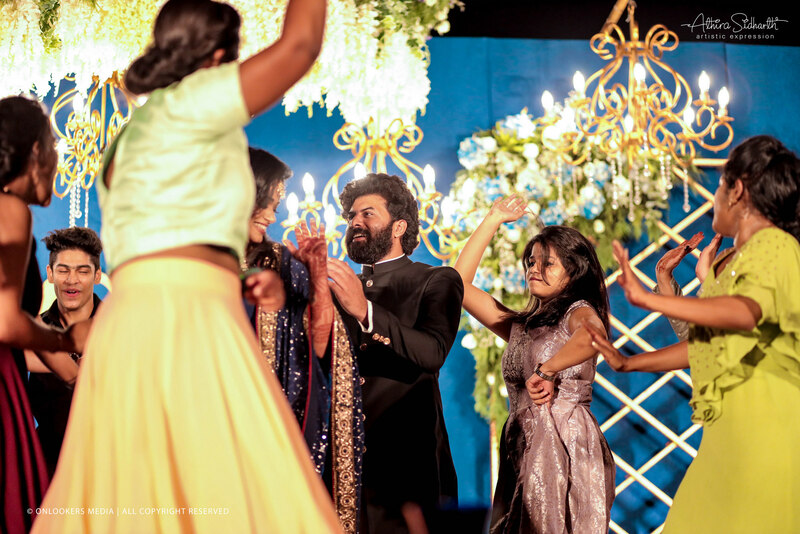 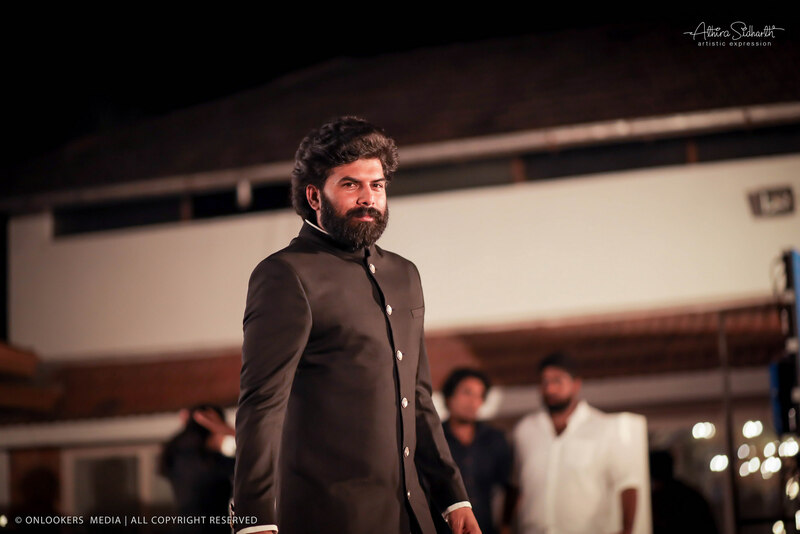 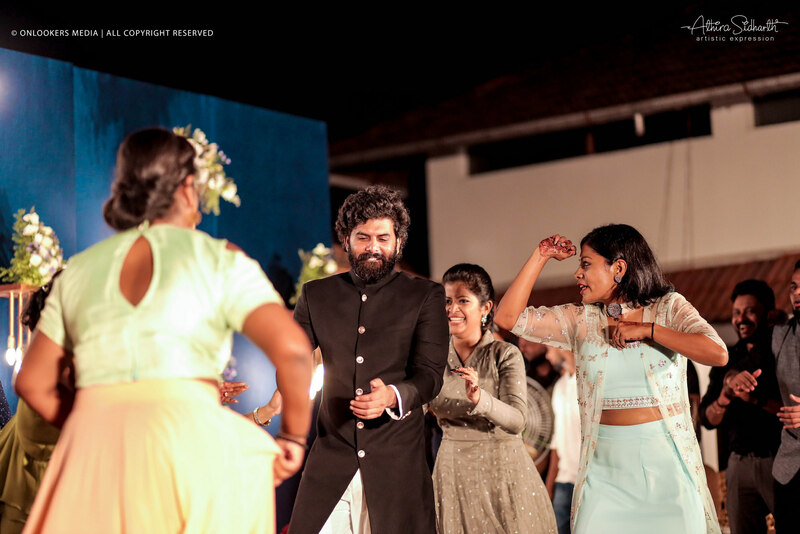 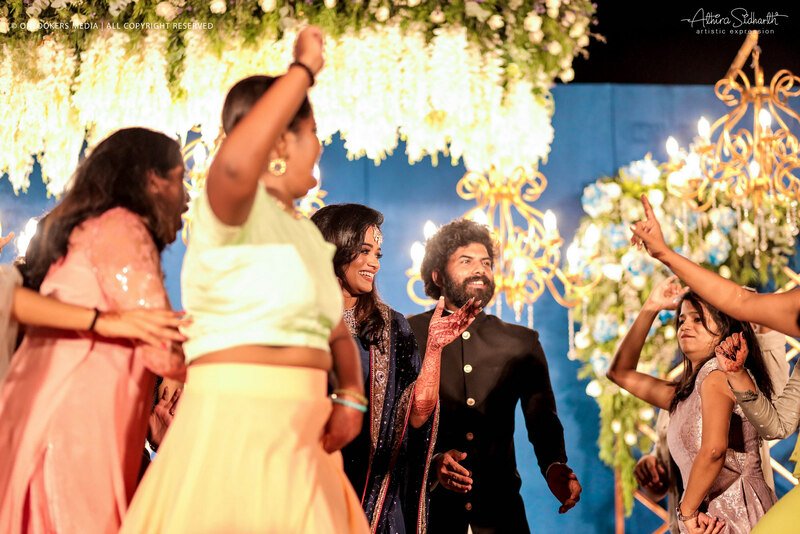 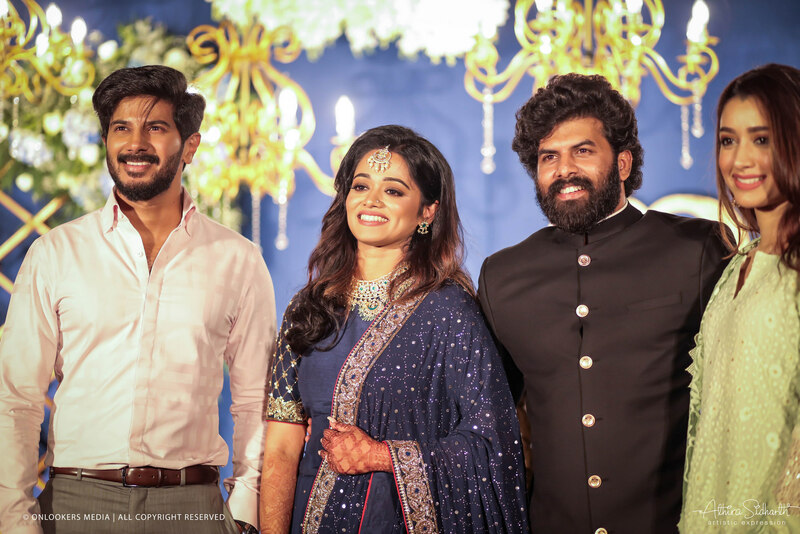 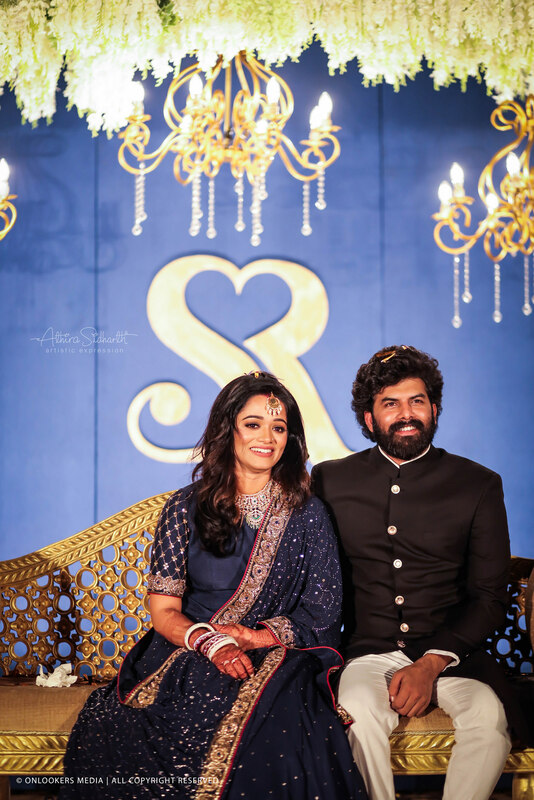 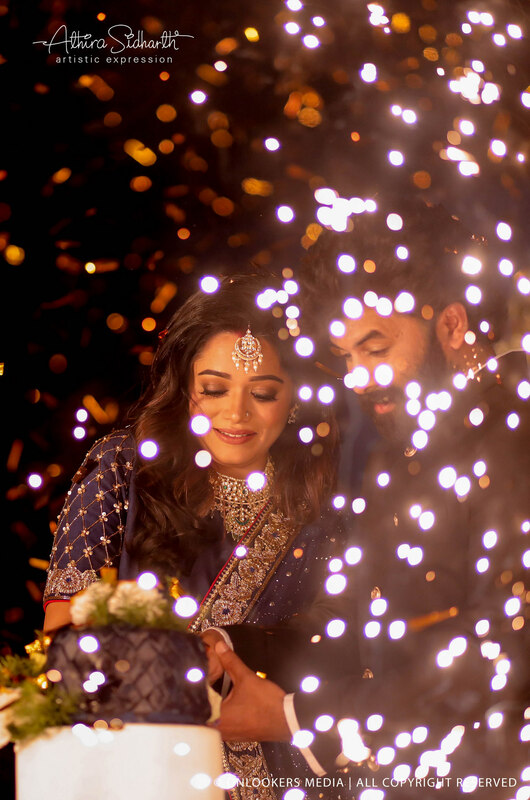 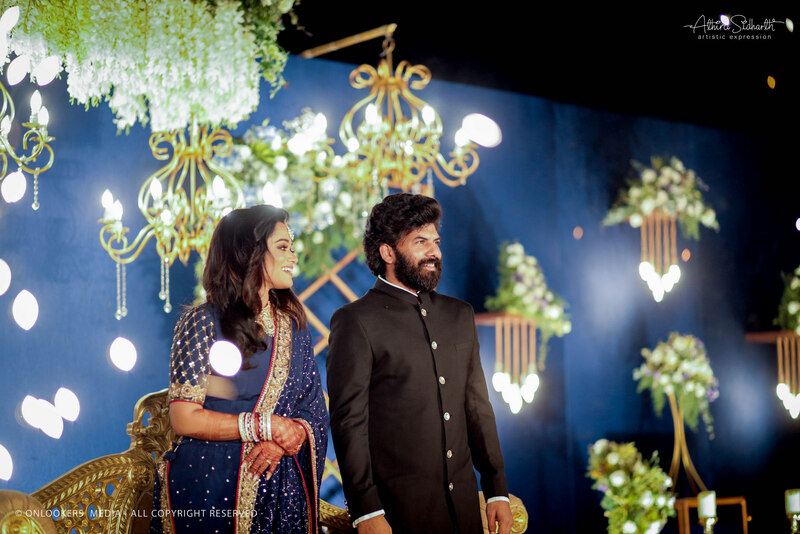 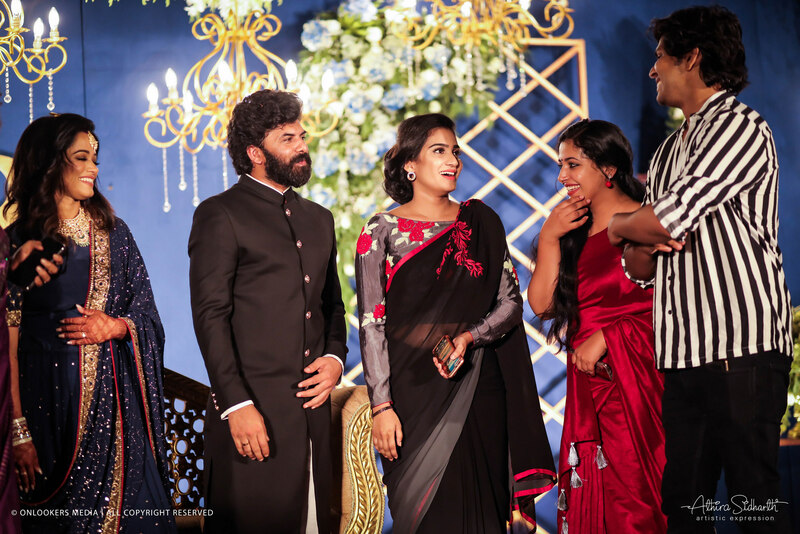 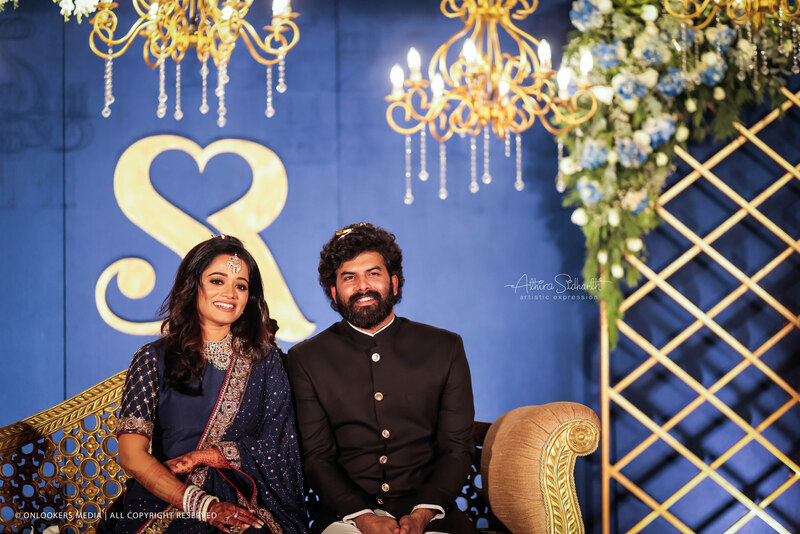 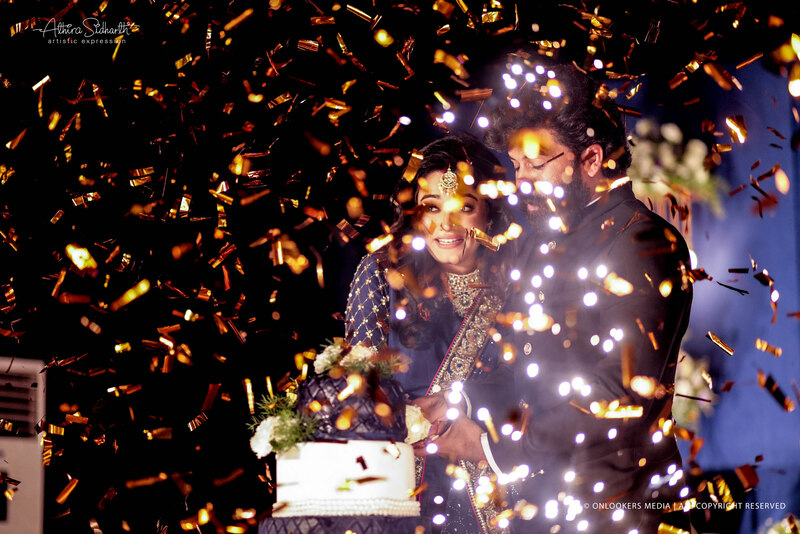 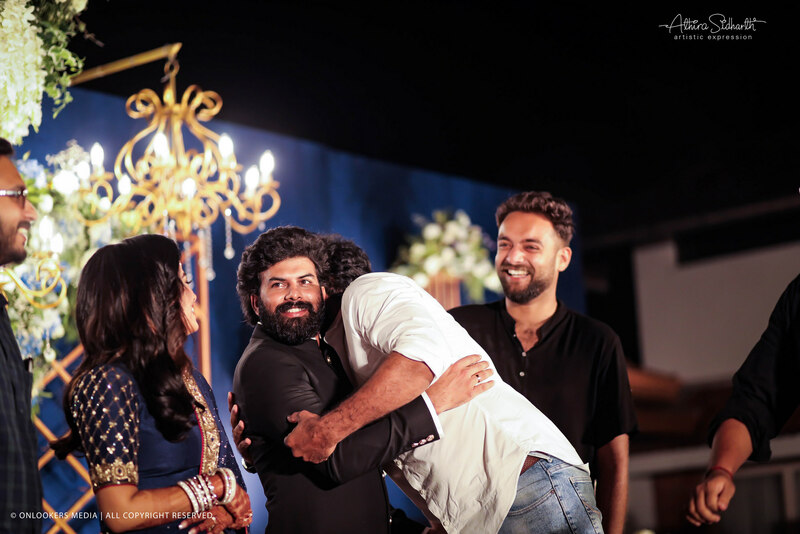 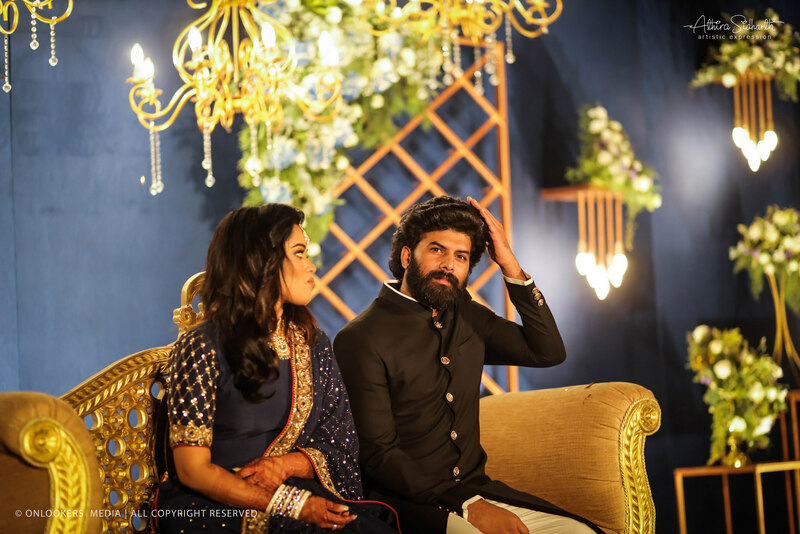 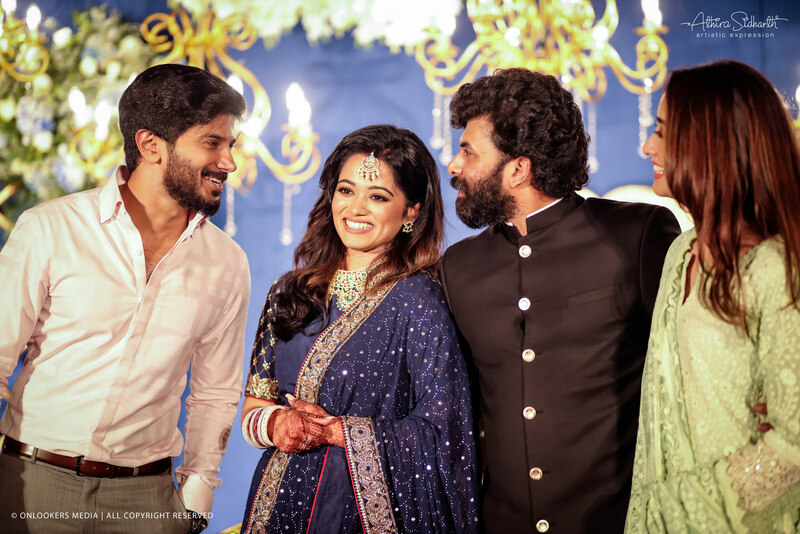 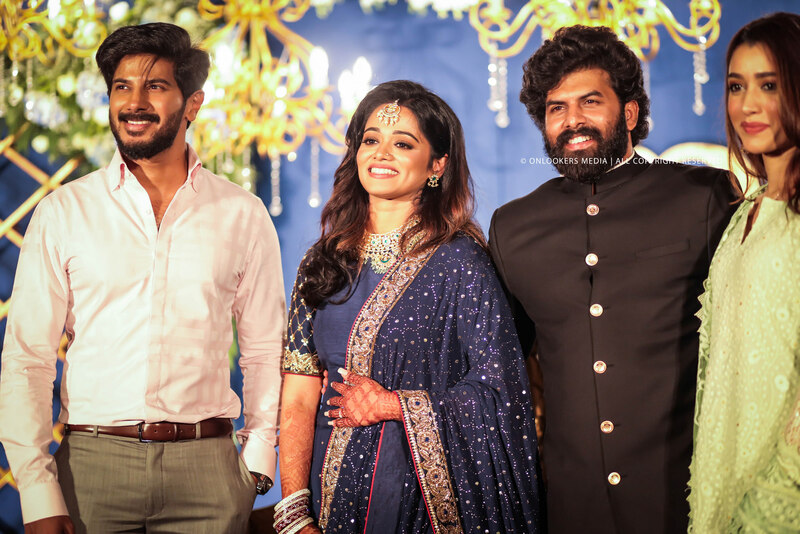 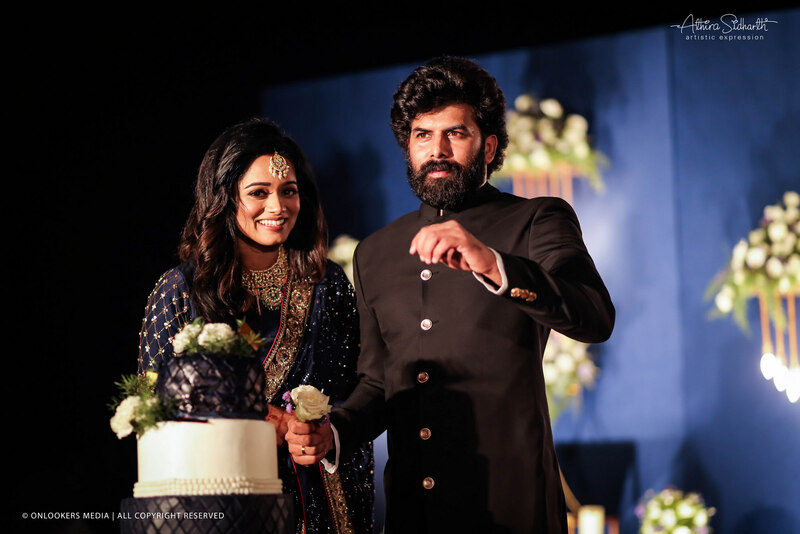 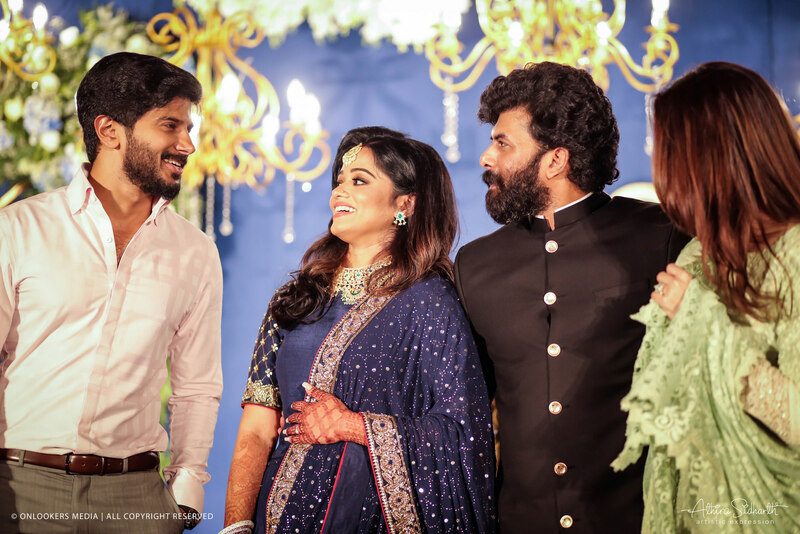 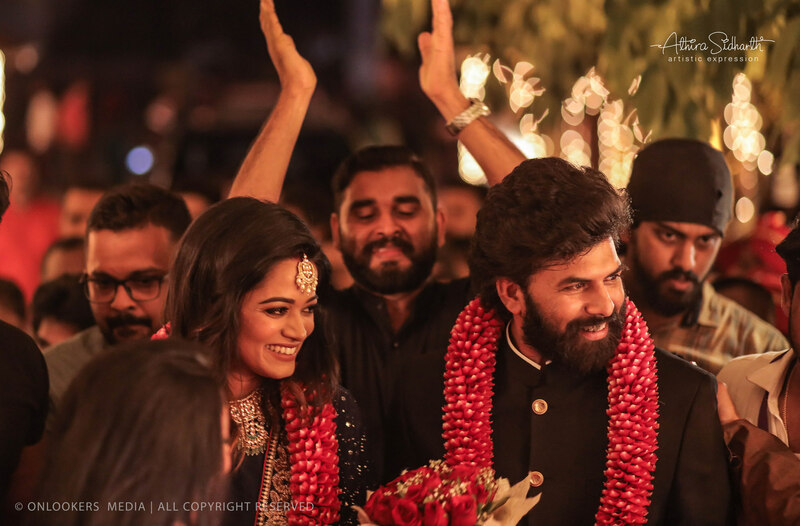 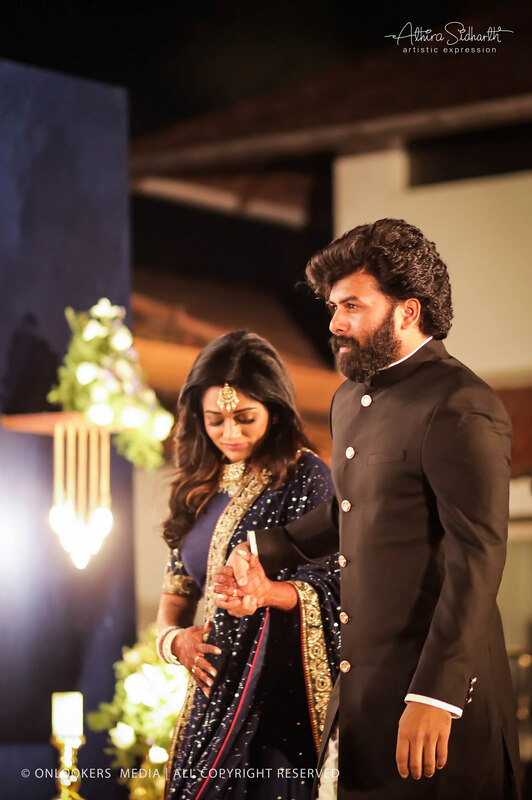 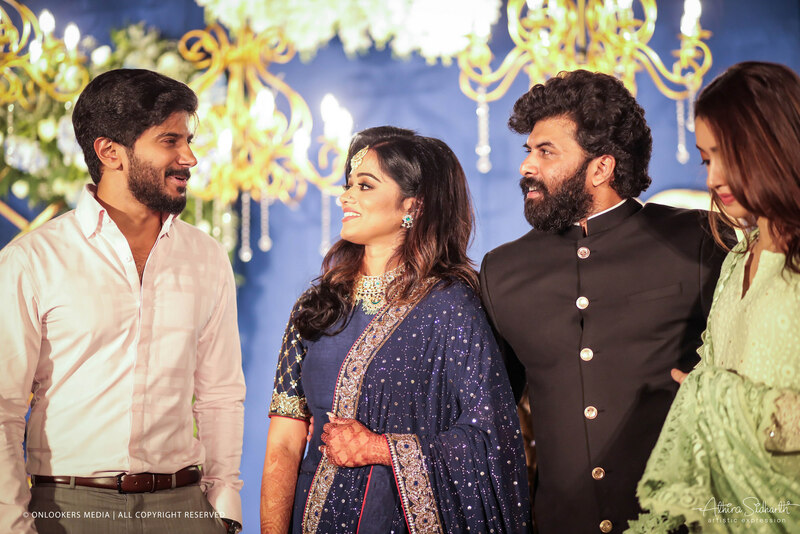 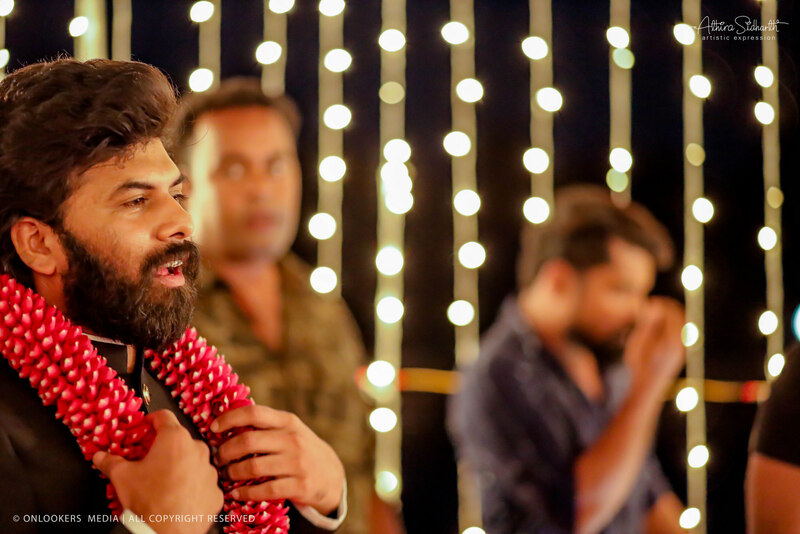 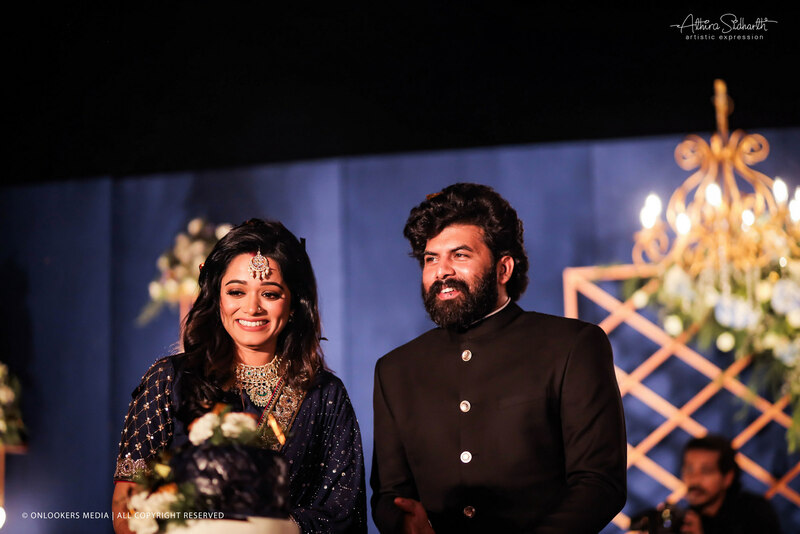 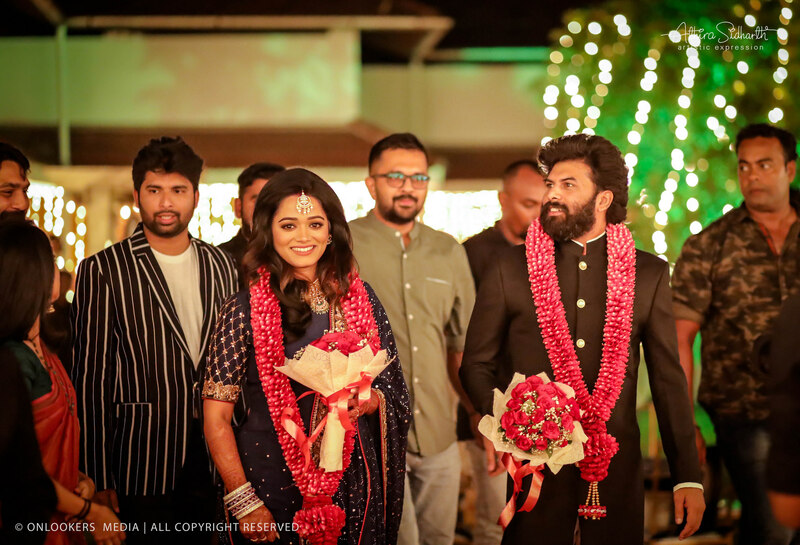 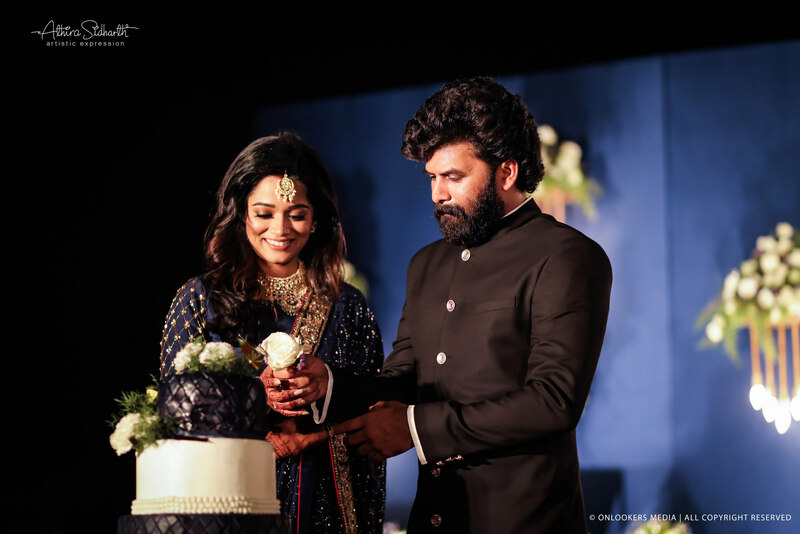 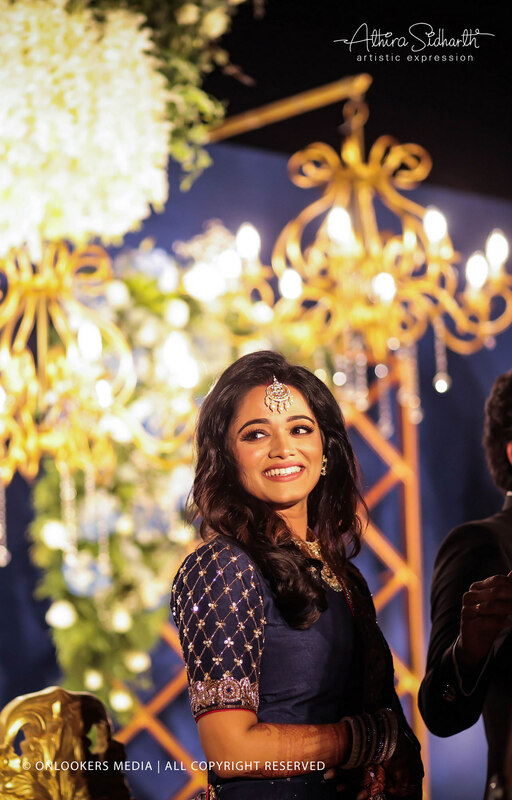 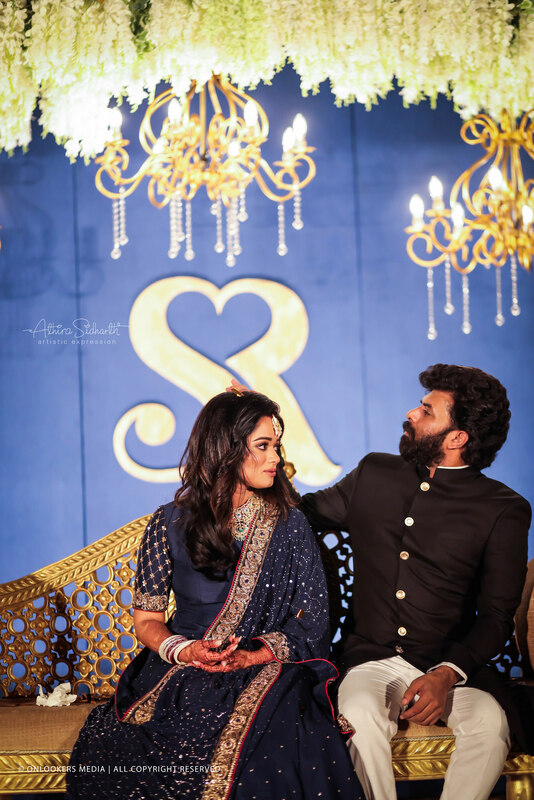 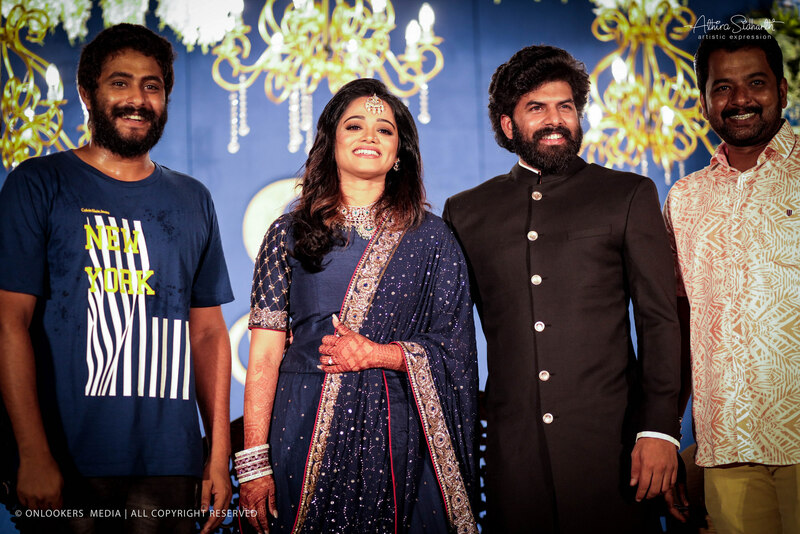 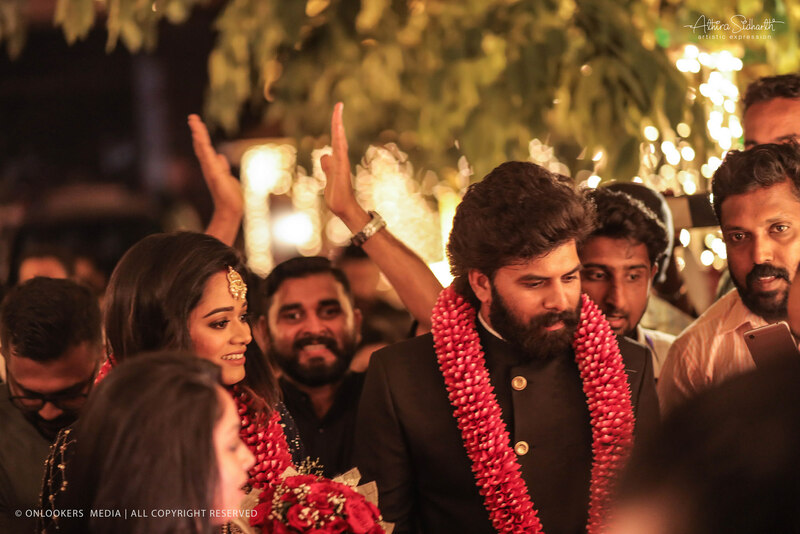 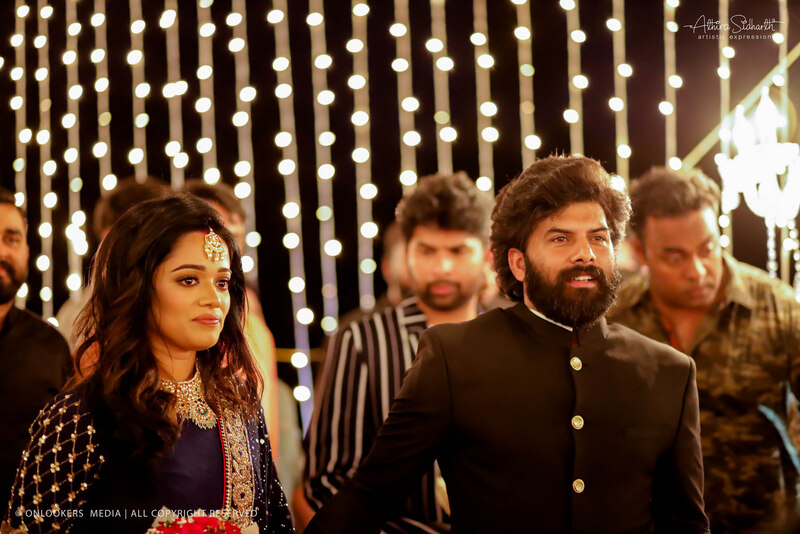 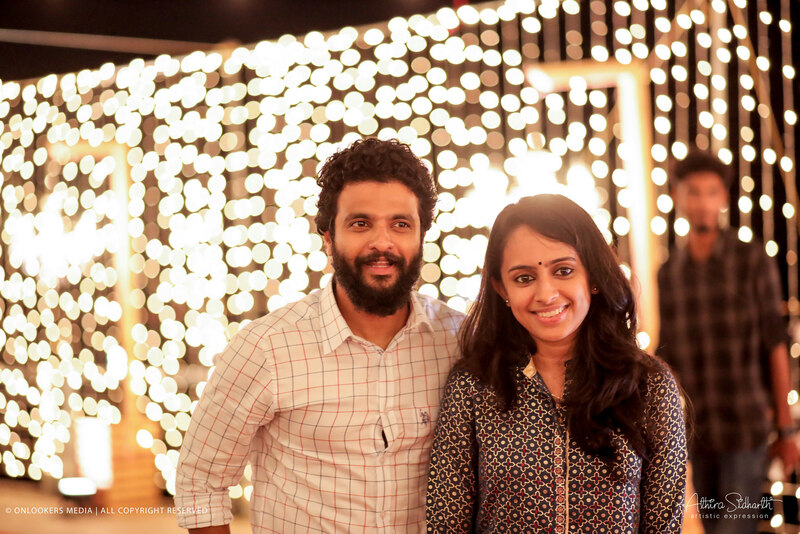 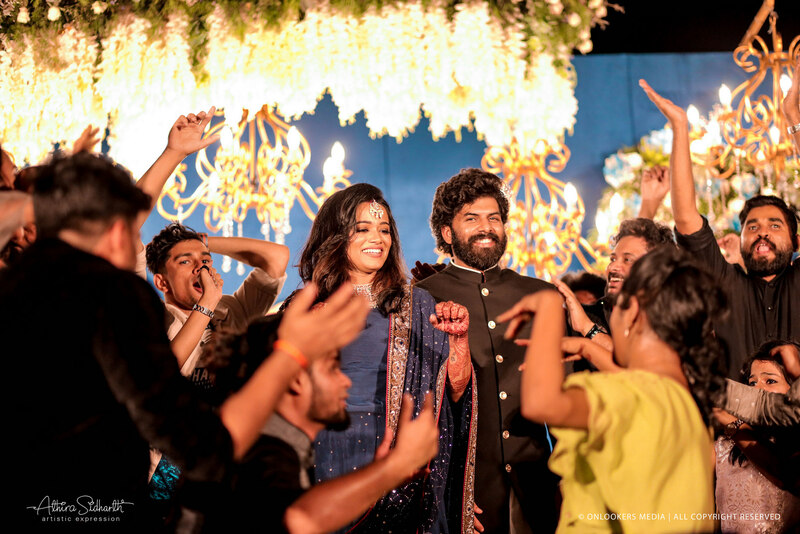 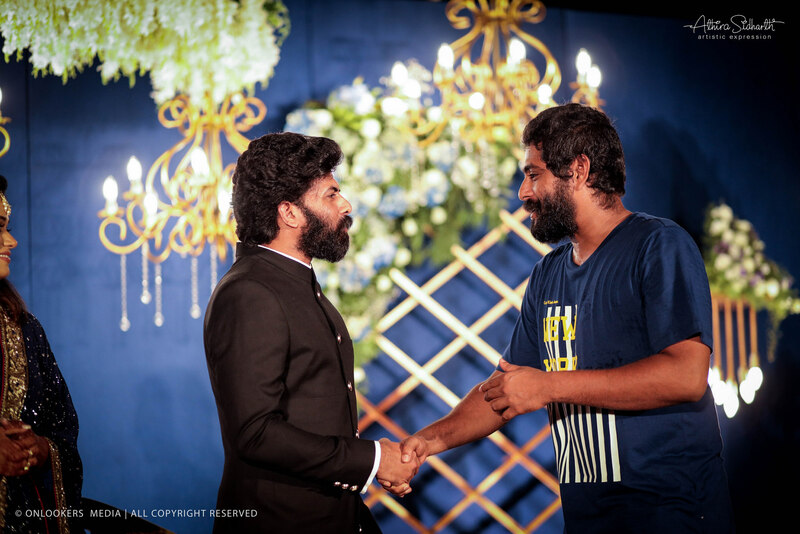 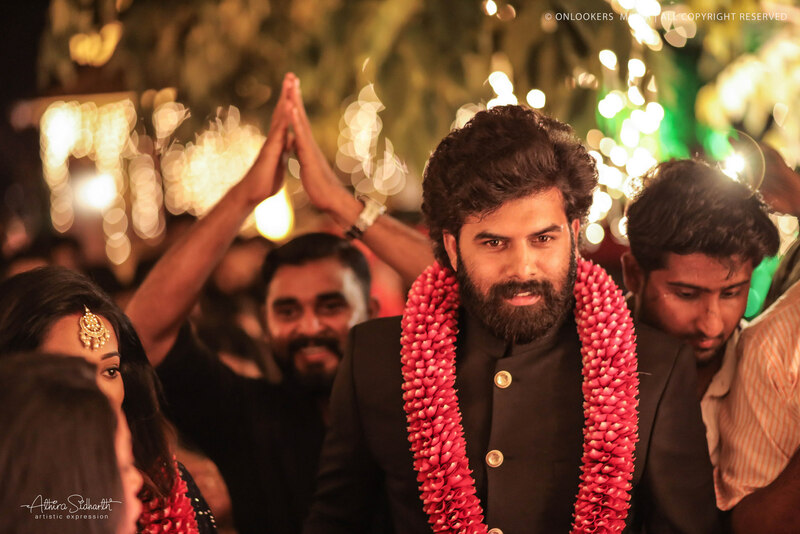 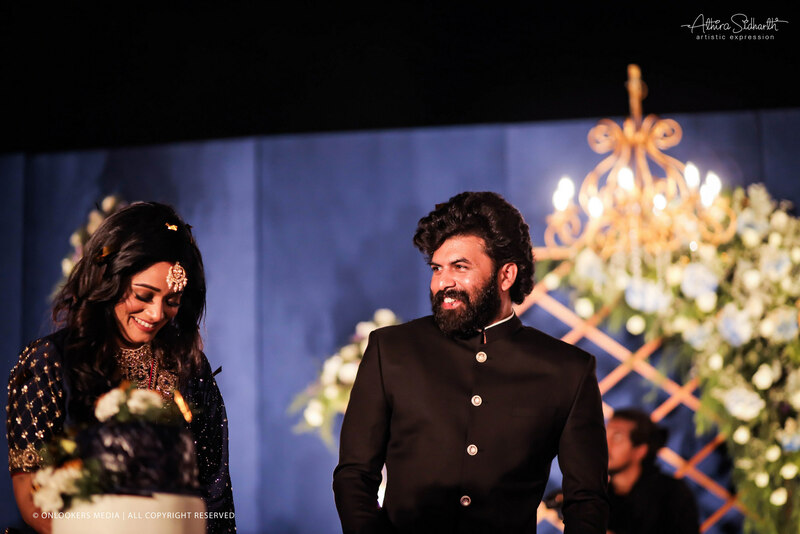 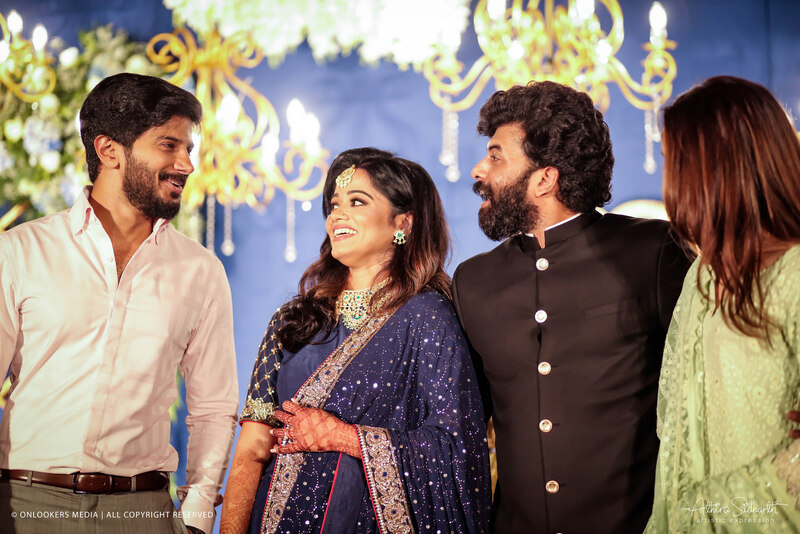 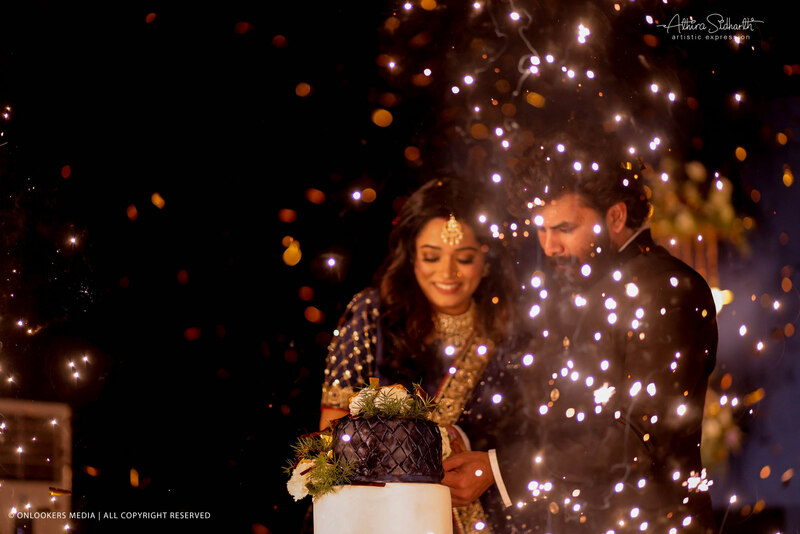 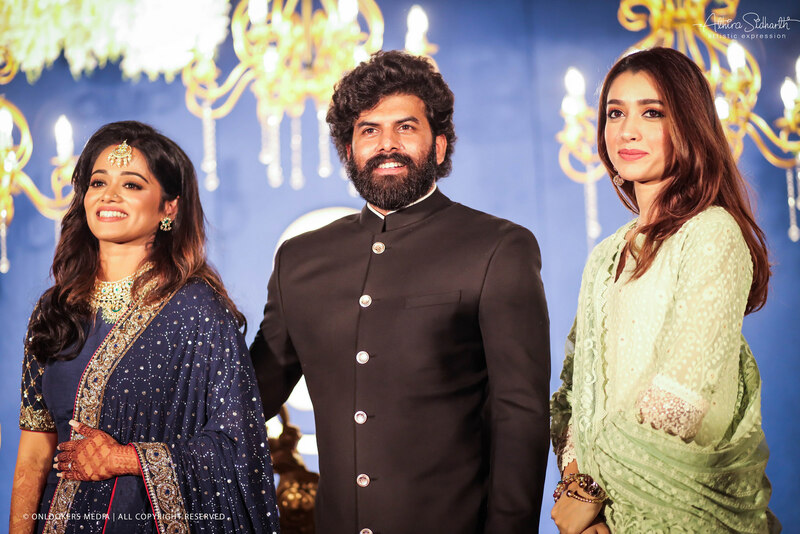 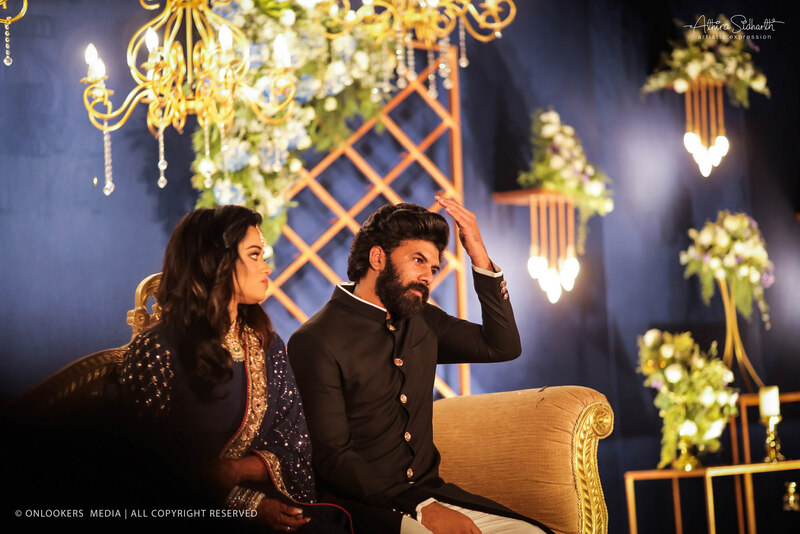 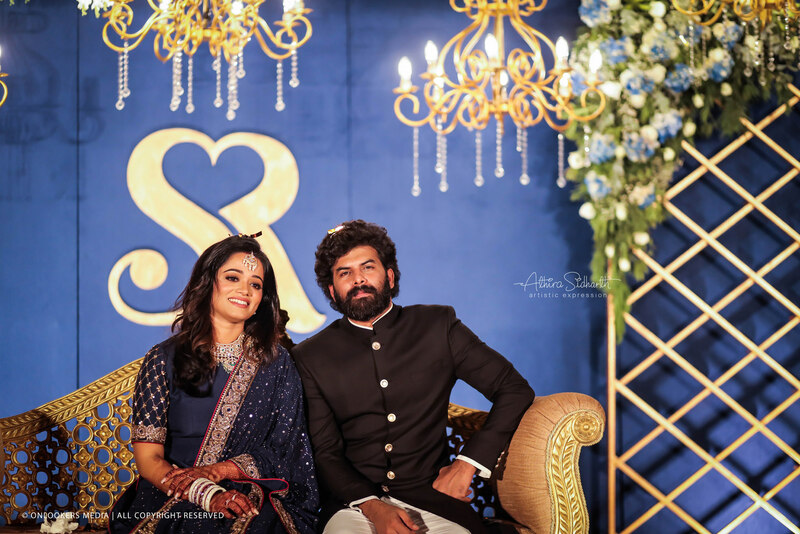 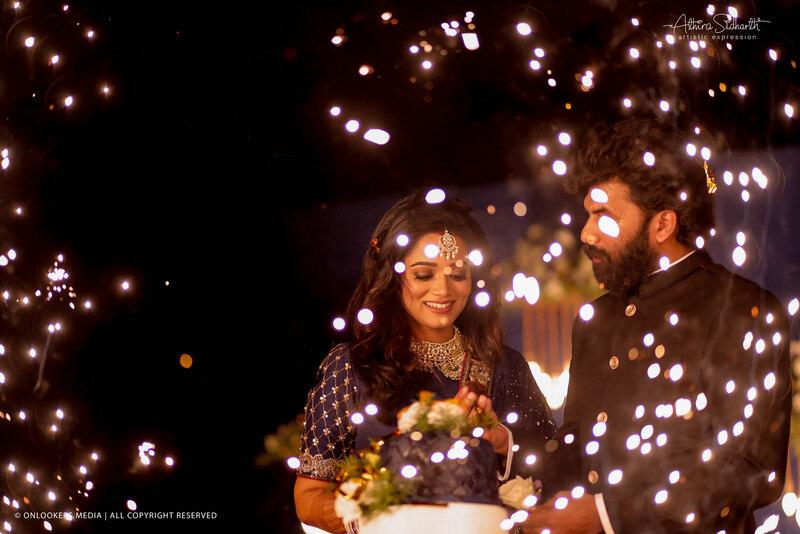 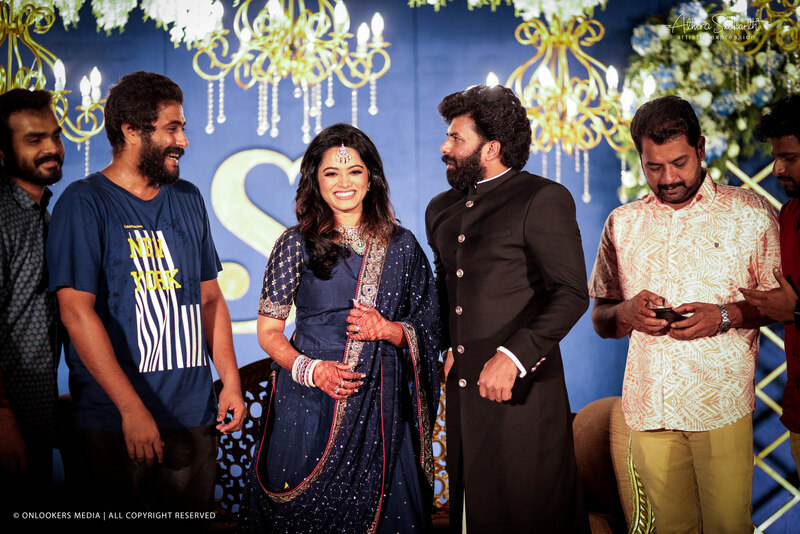 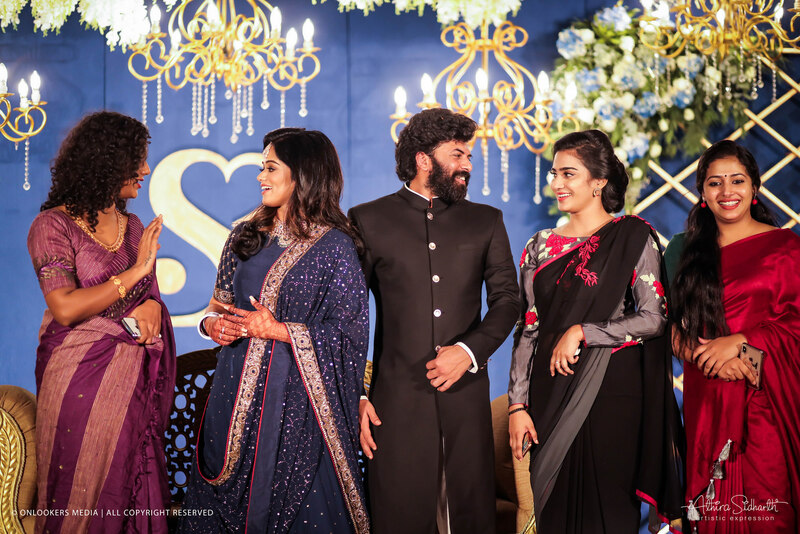 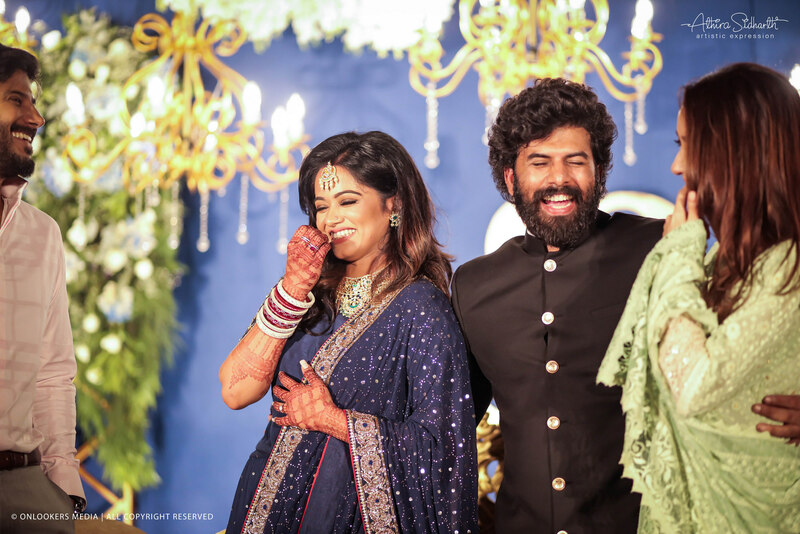 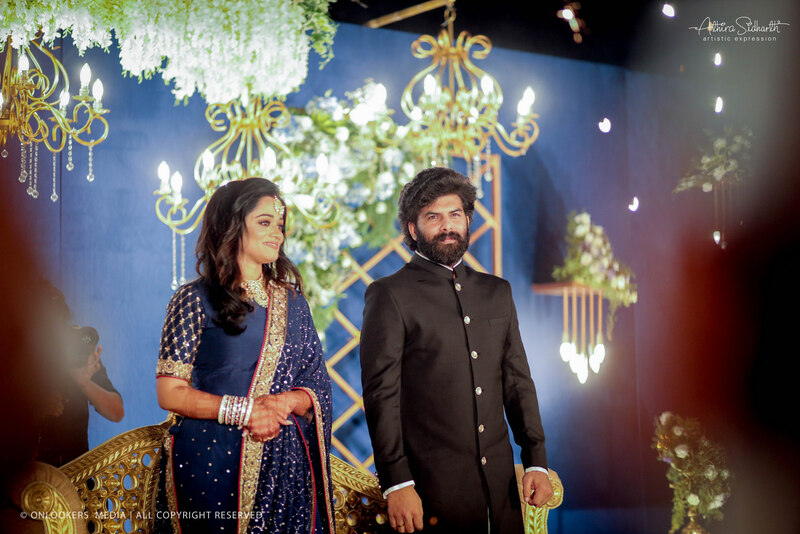 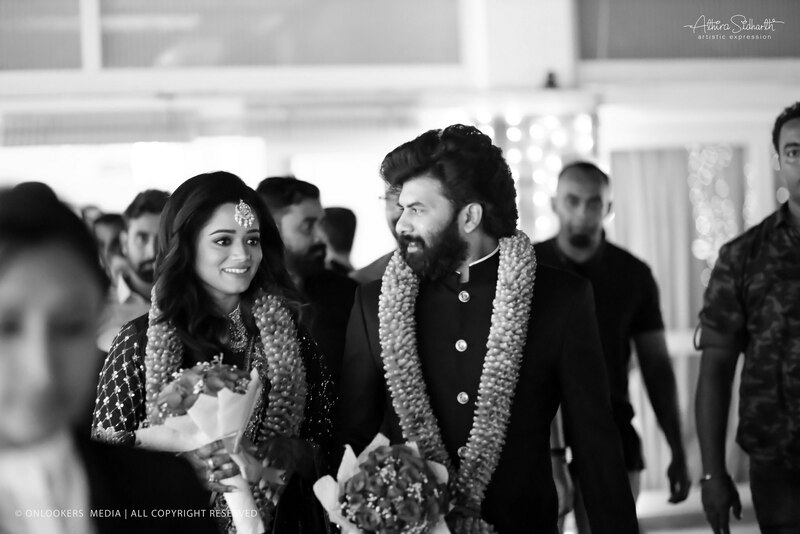 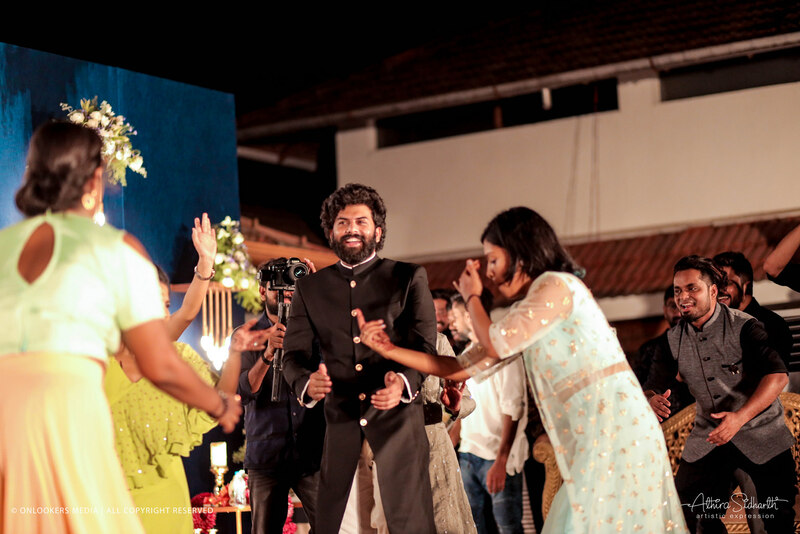 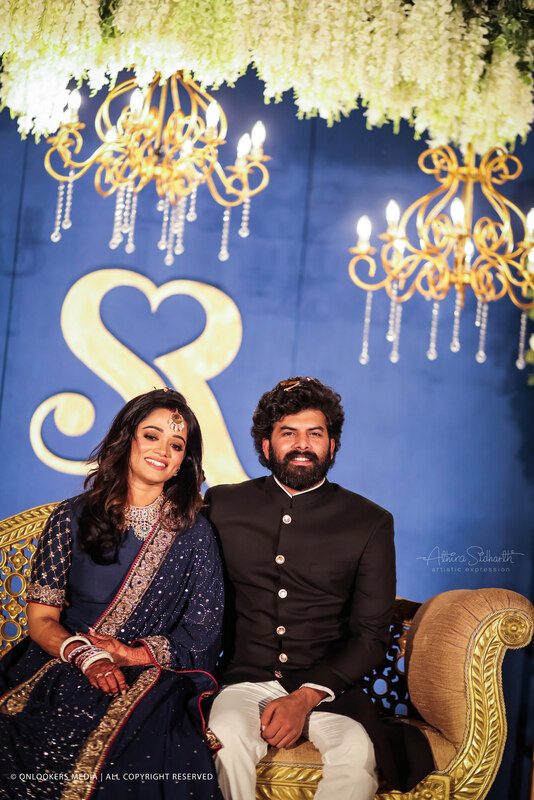 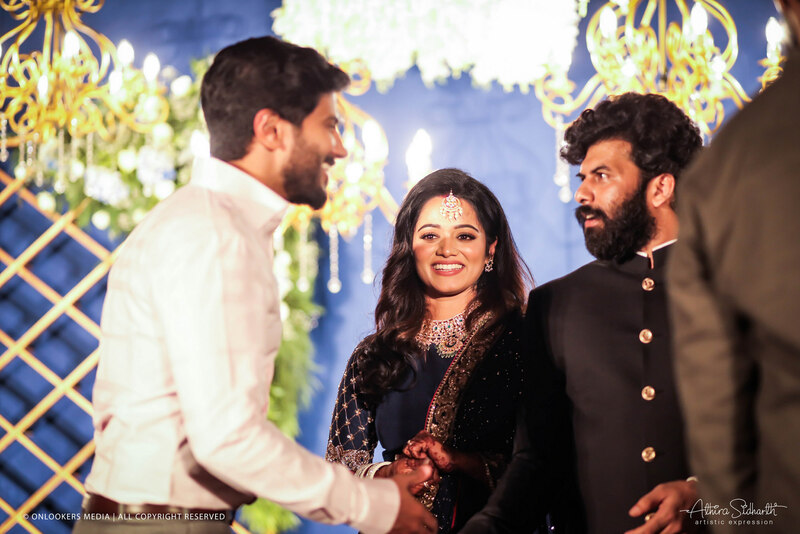 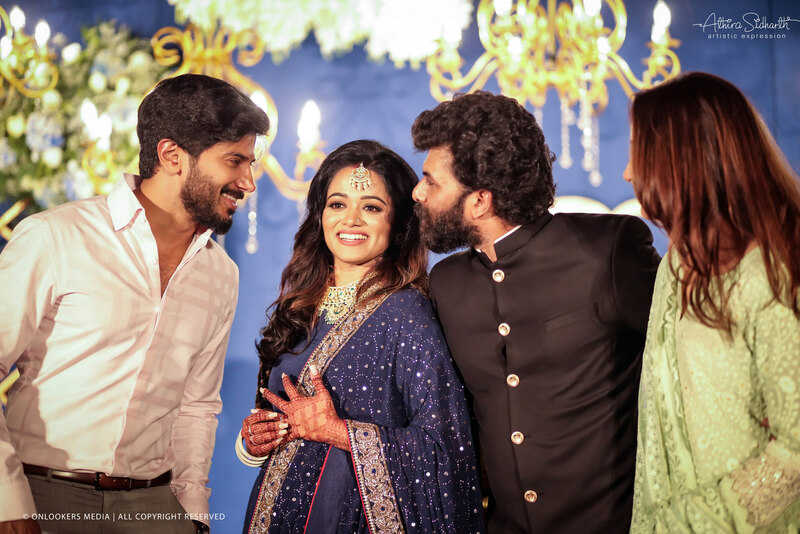 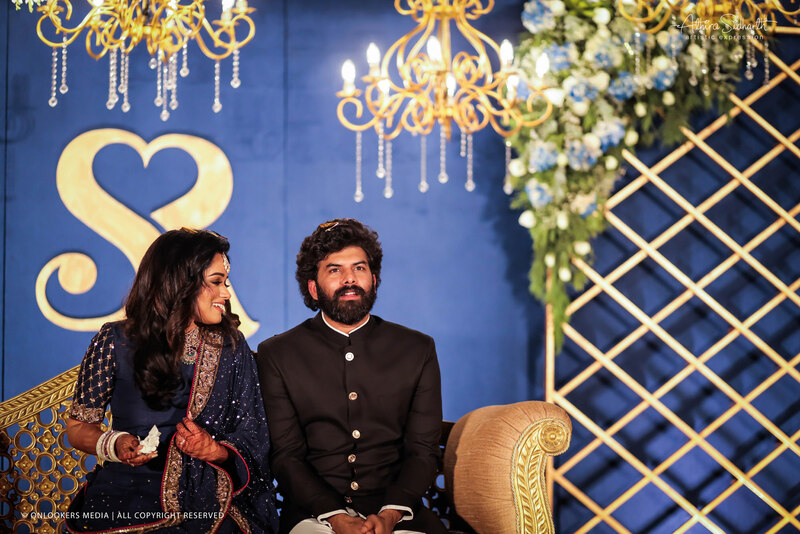 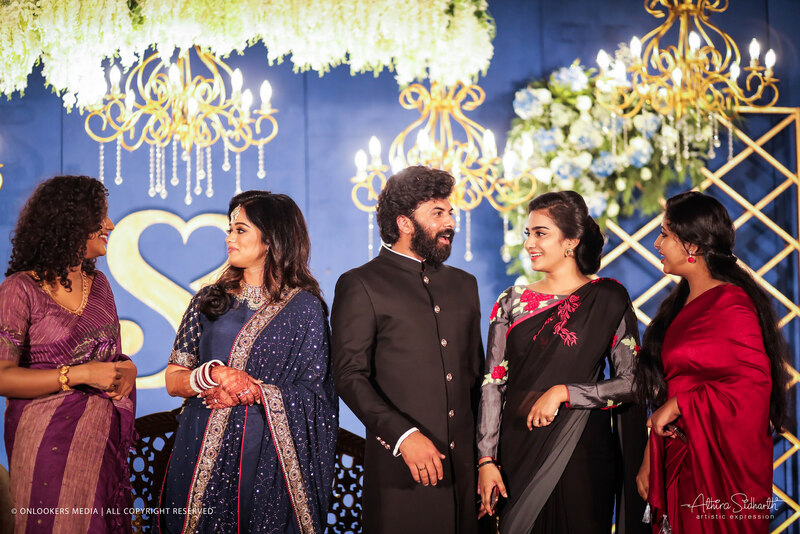 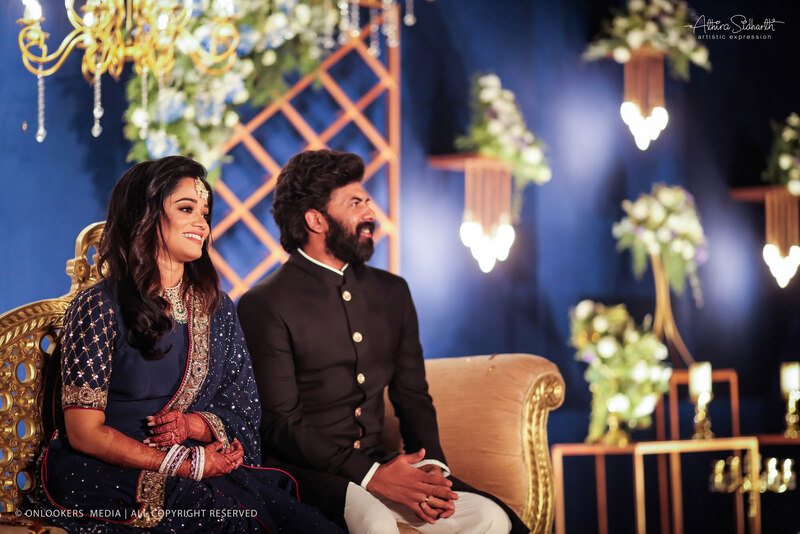 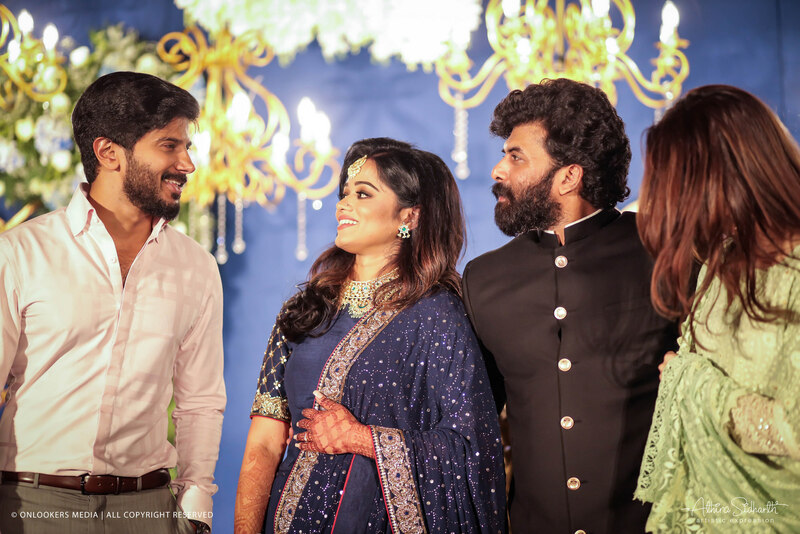 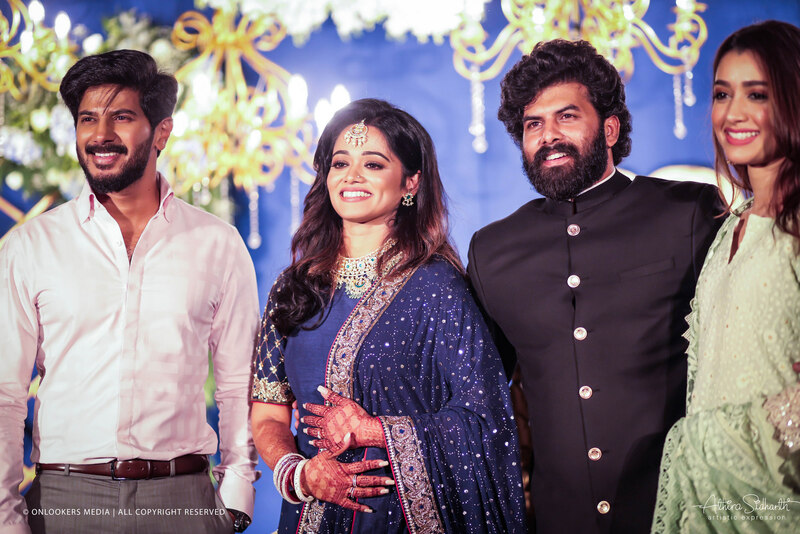 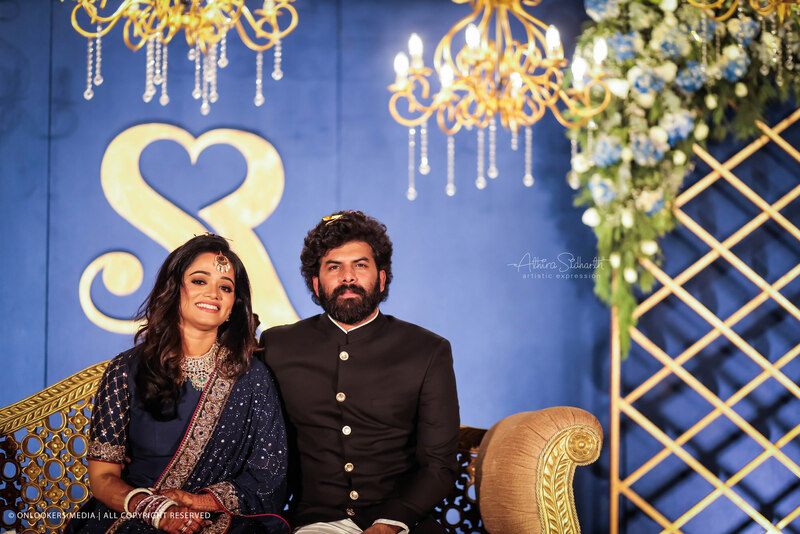 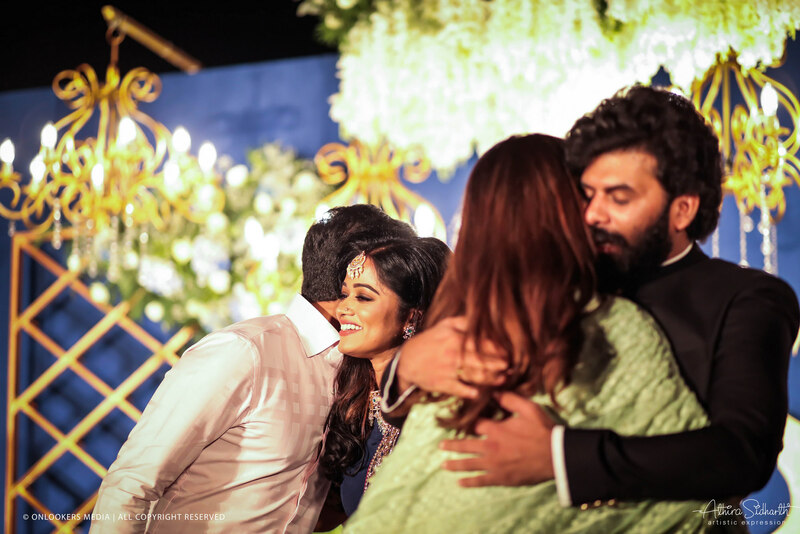 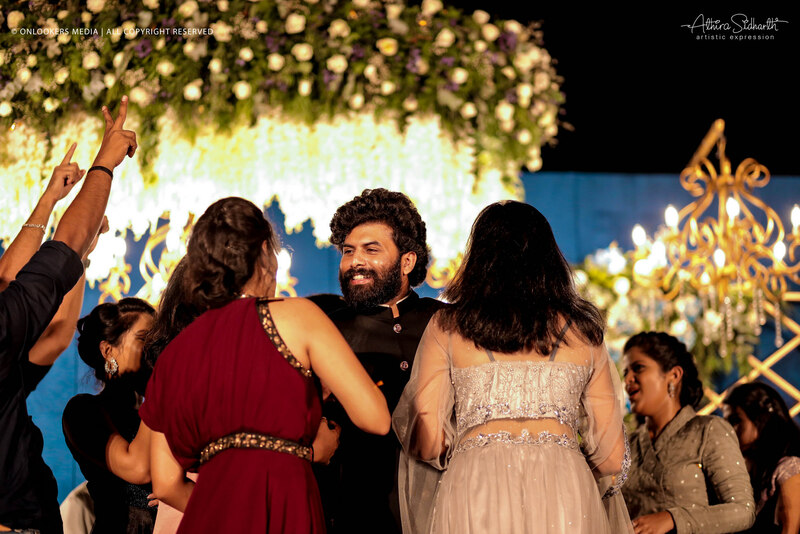 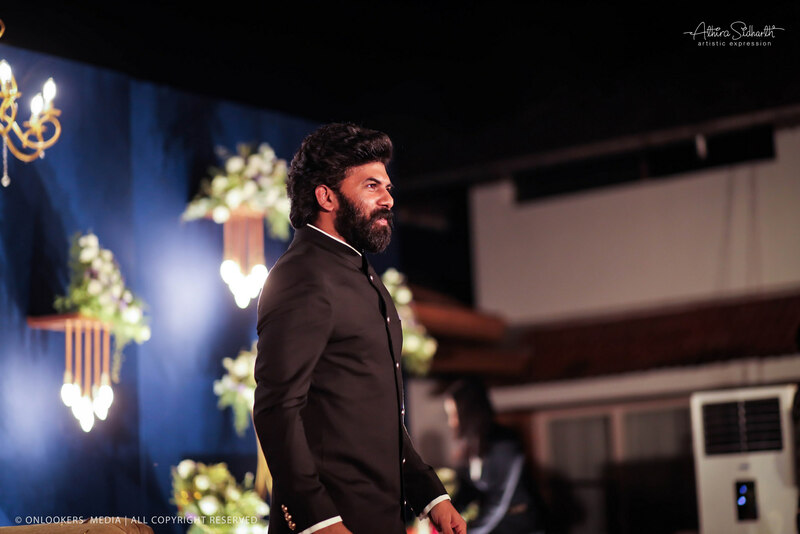 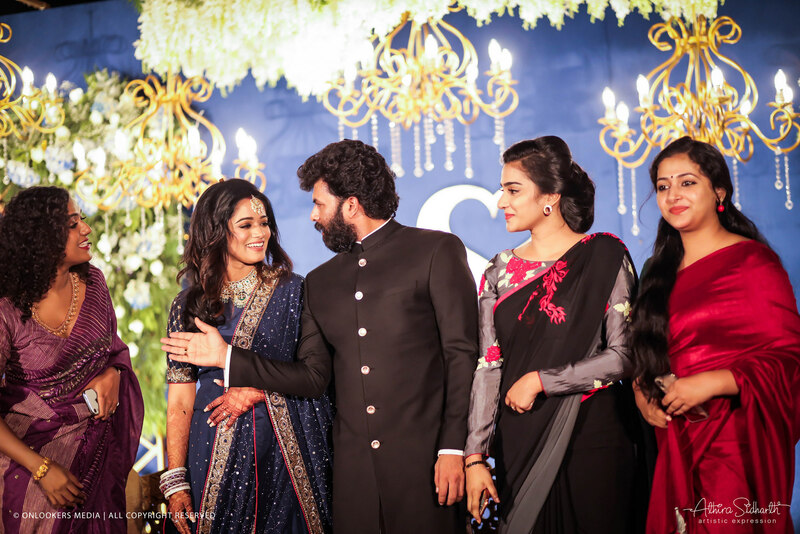 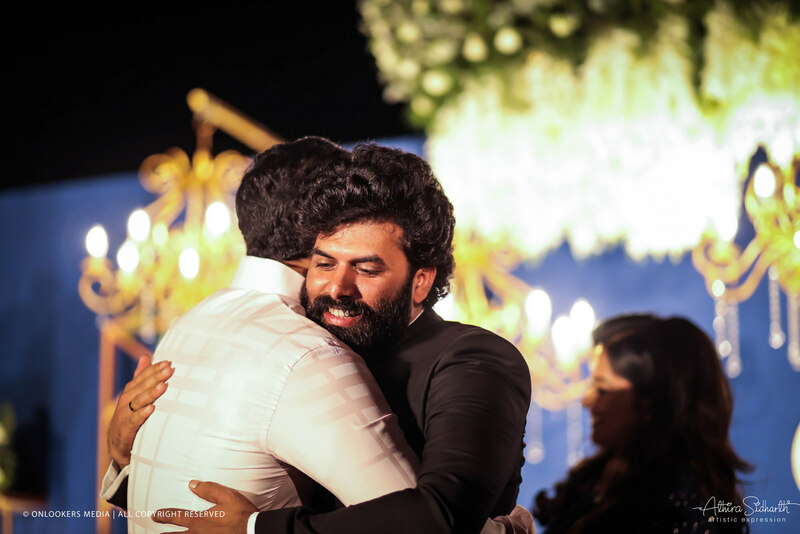 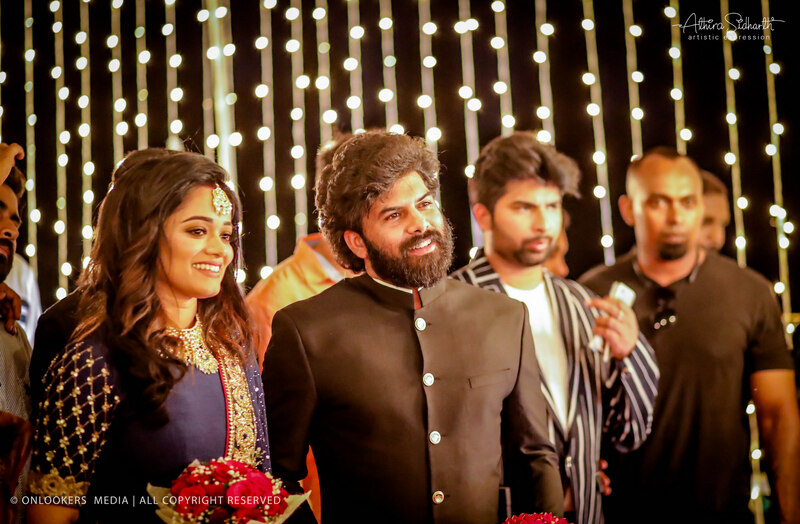 Actor Sunny Wayne got married to Renjini on Wednesday. 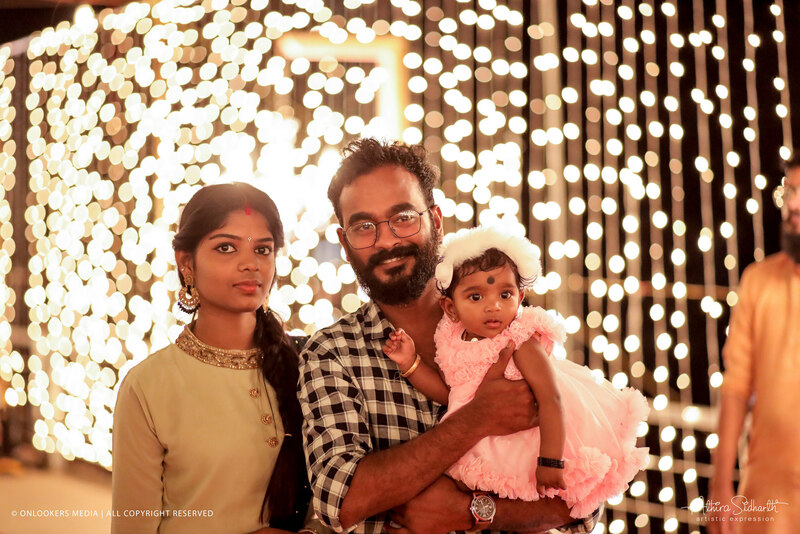 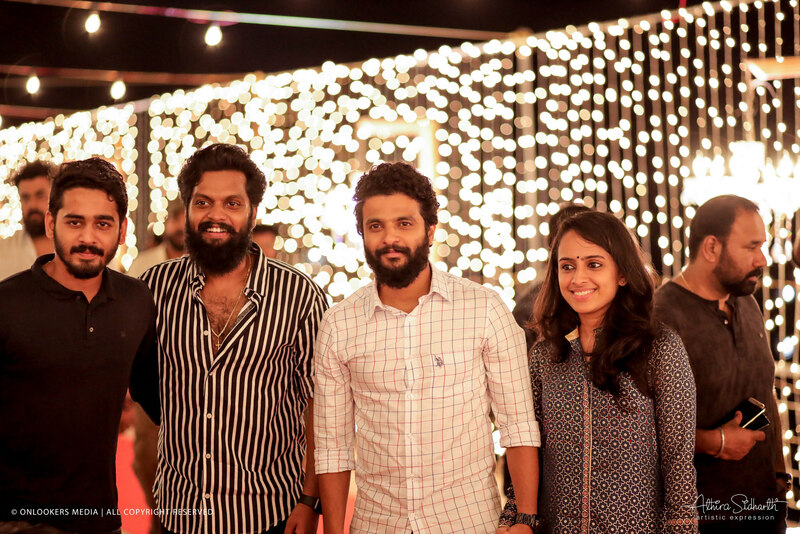 Only close friends and family members attended the wedding at Guruvayoor temple. 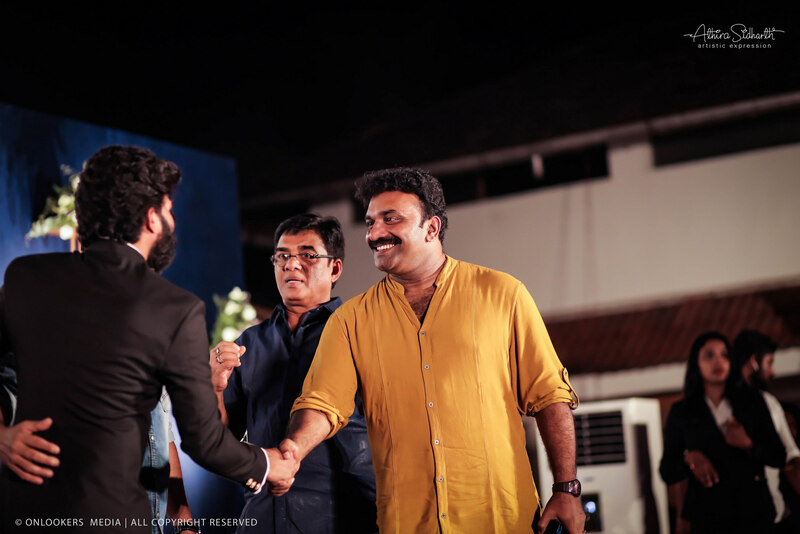 On Thursday, a grand reception party was held at Edassery resort, Varapuzha for film industry friends. 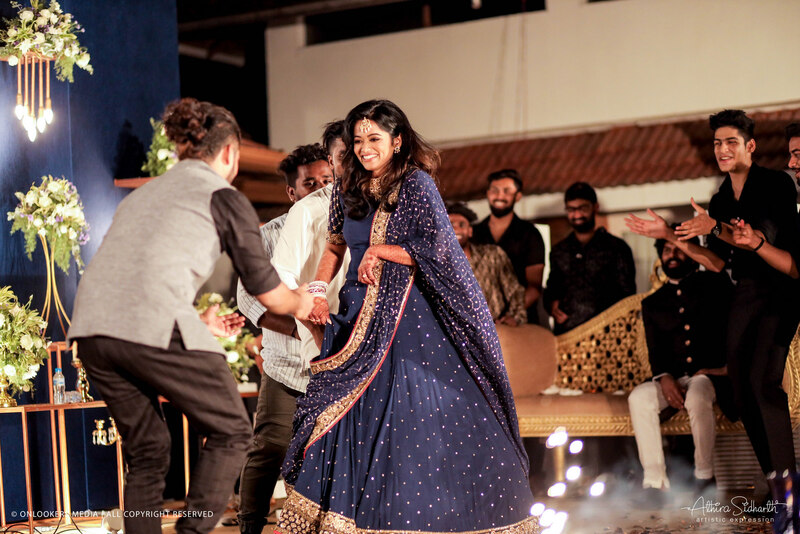 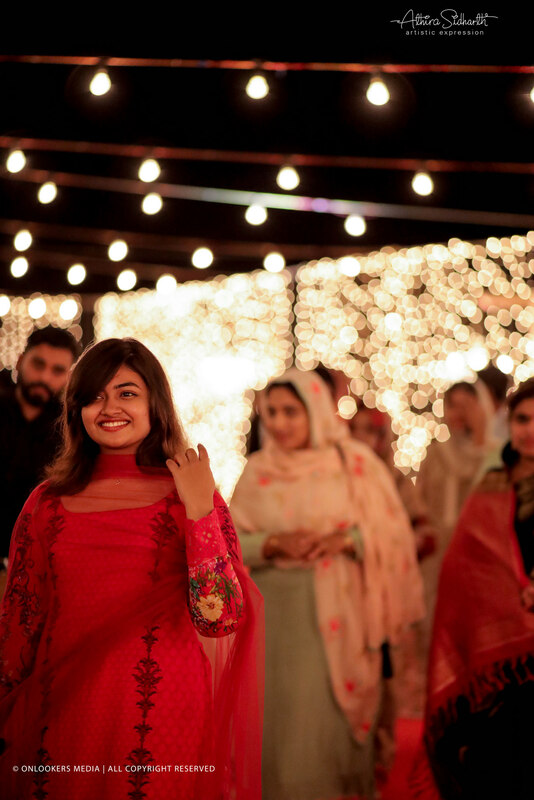 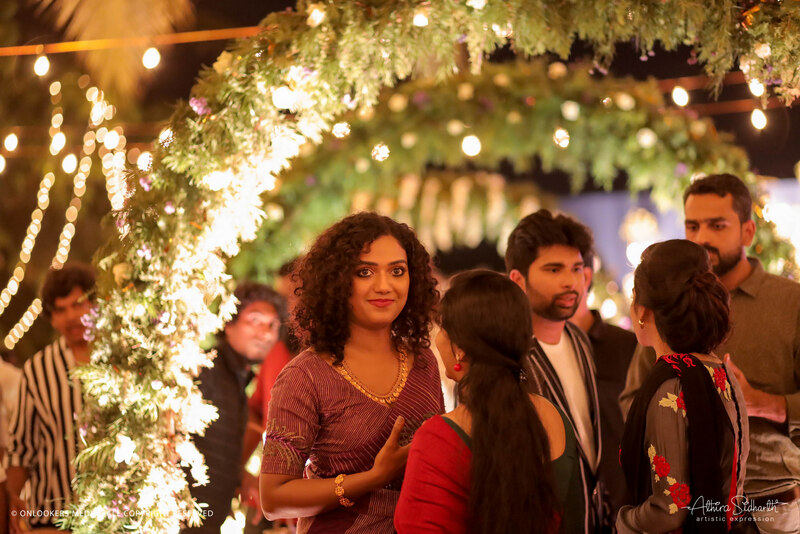 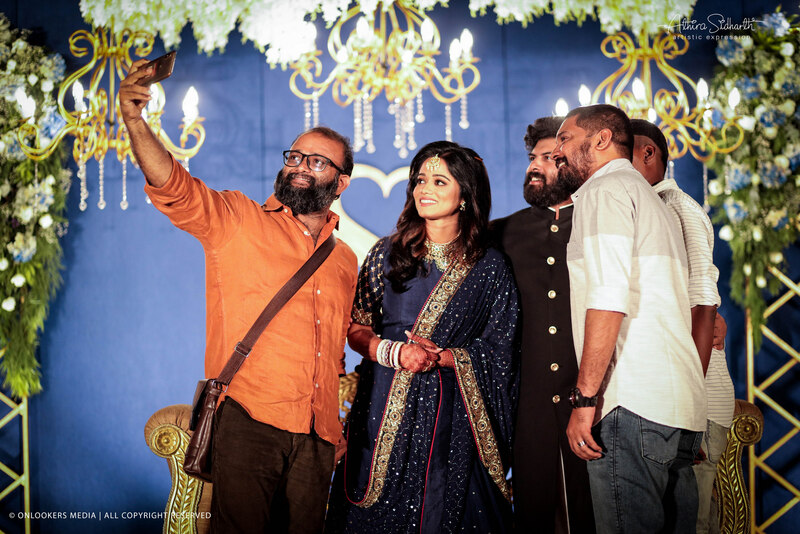 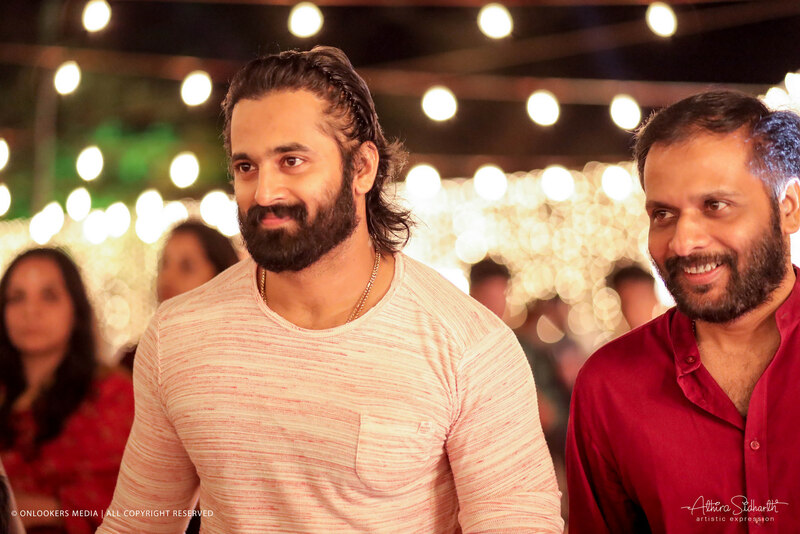 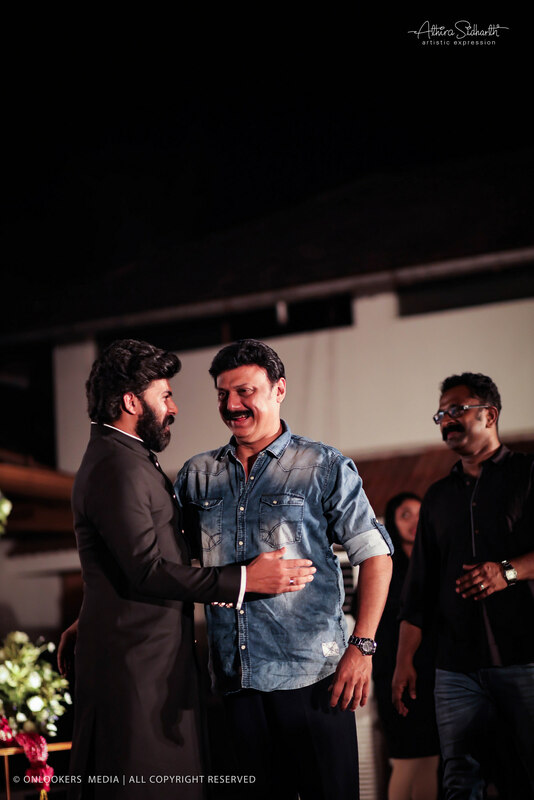 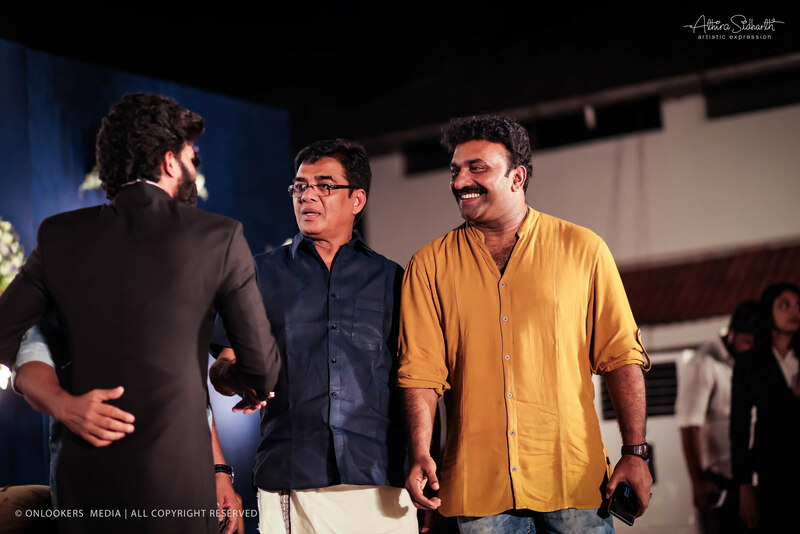 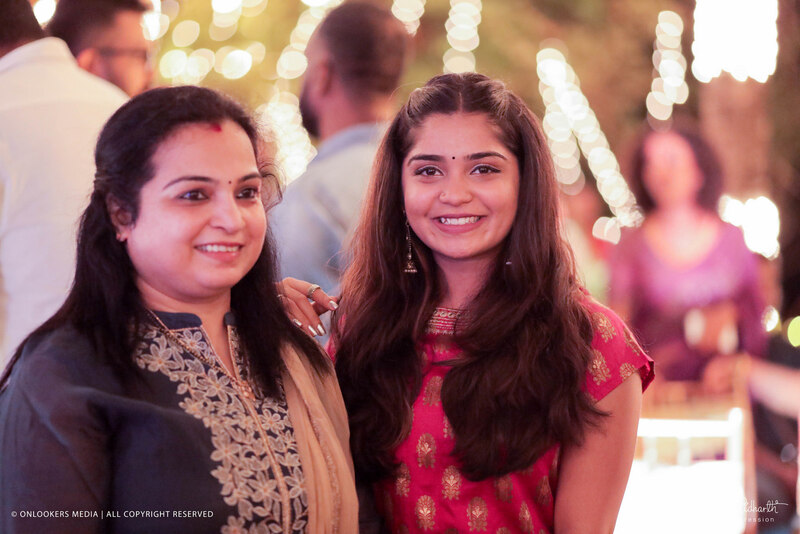 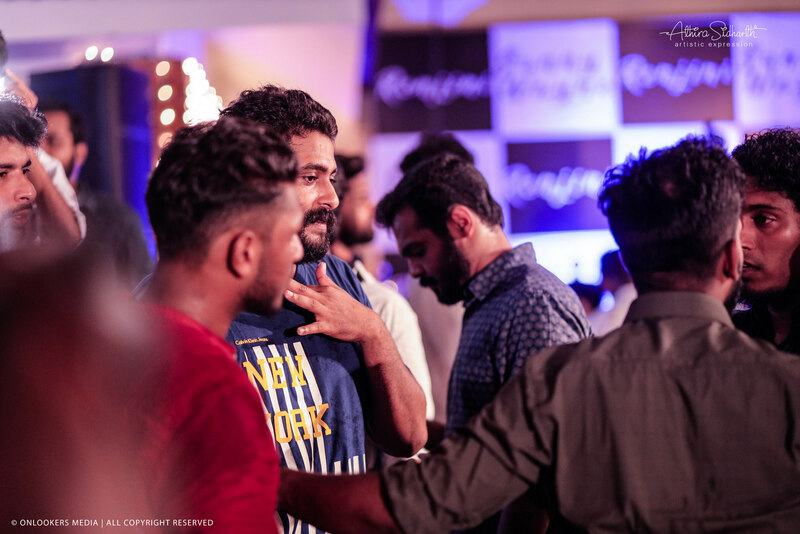 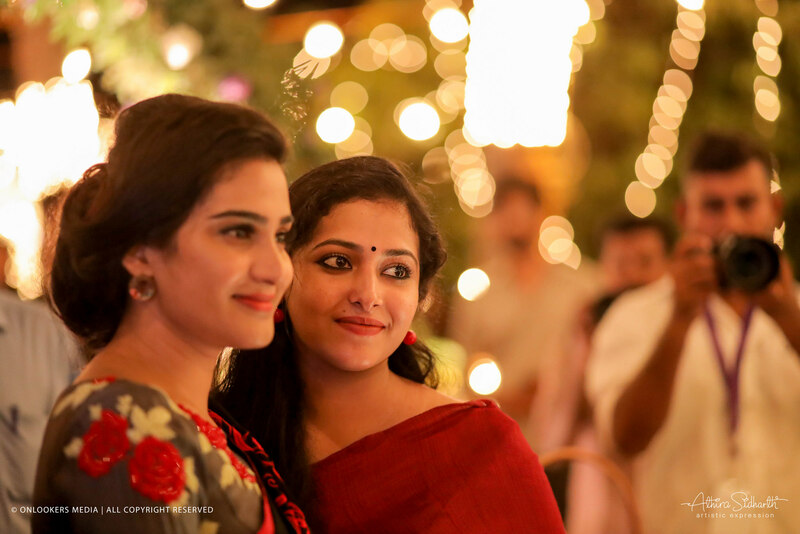 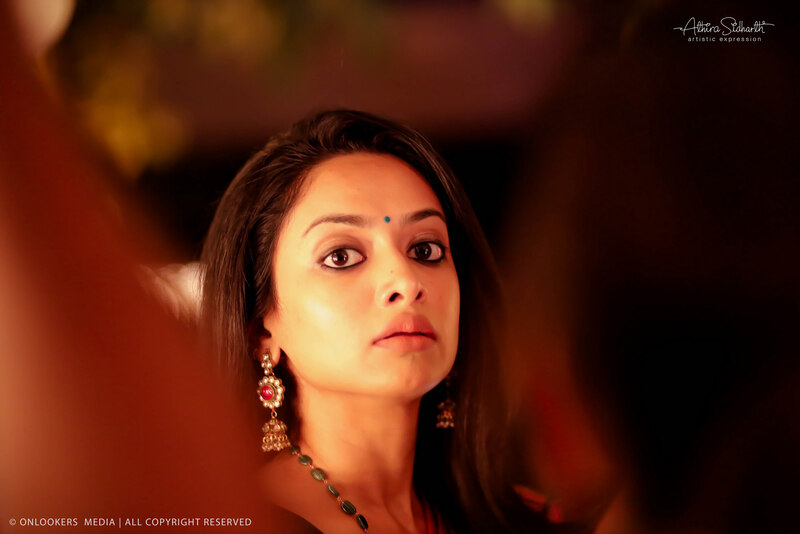 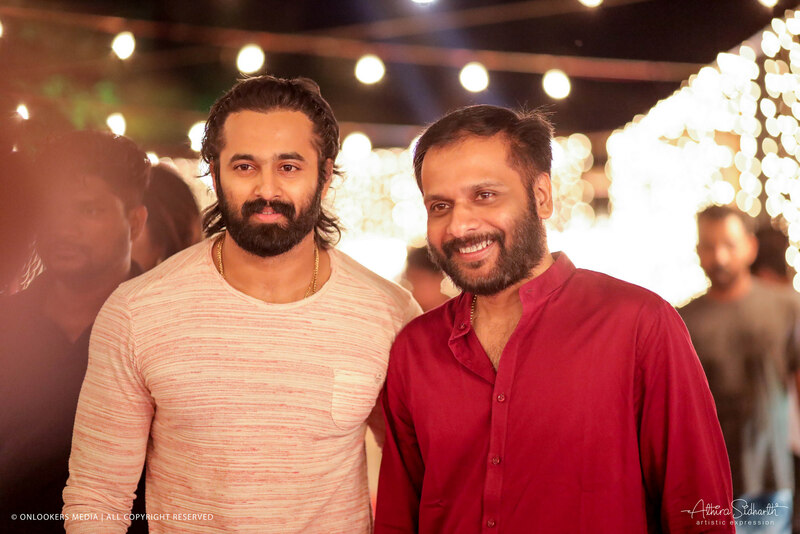 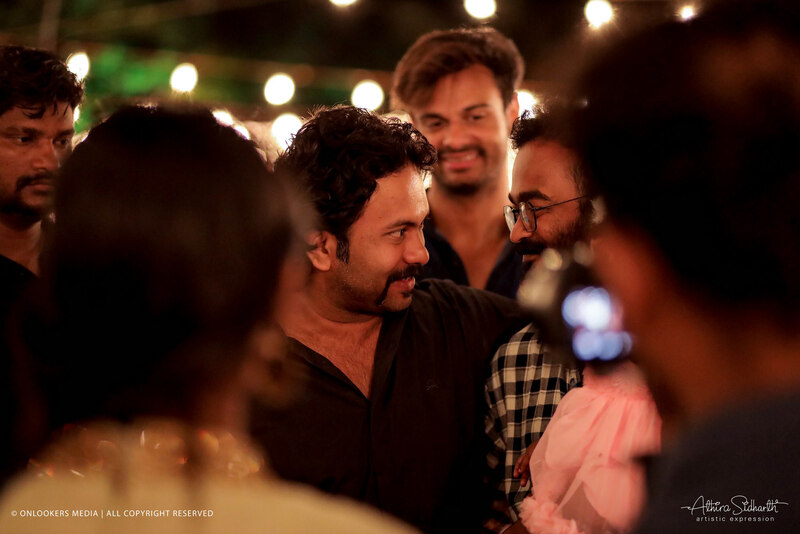 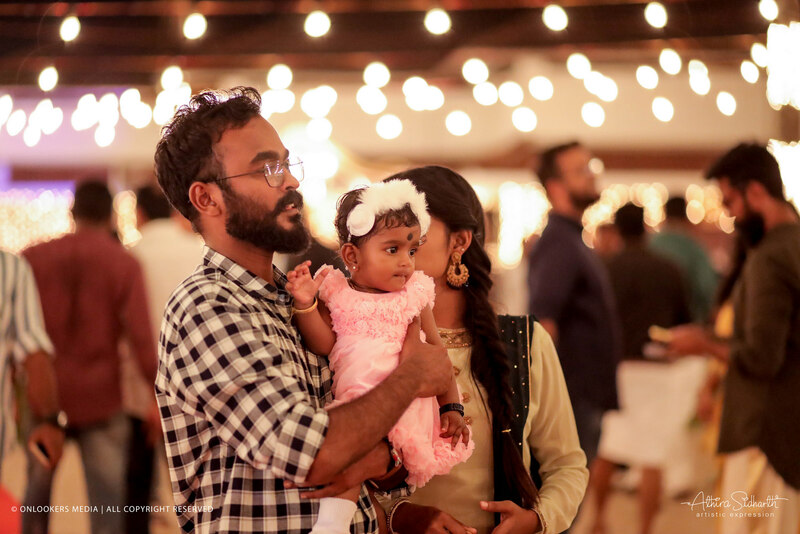 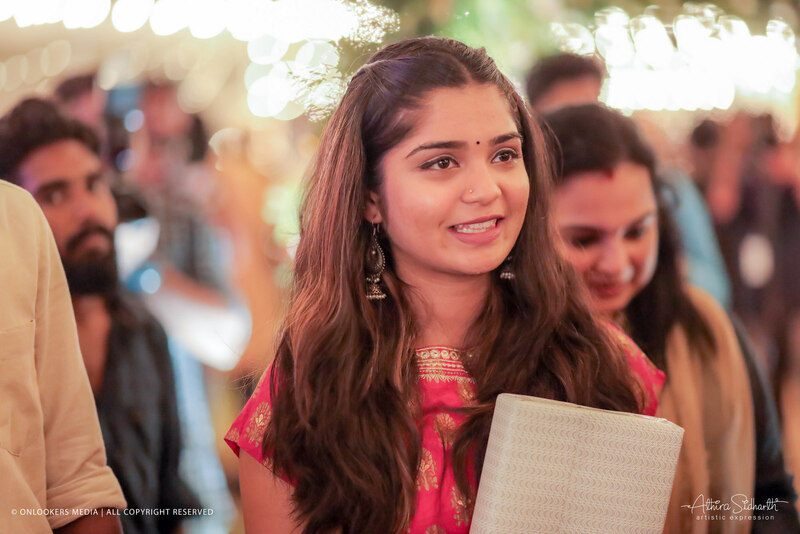 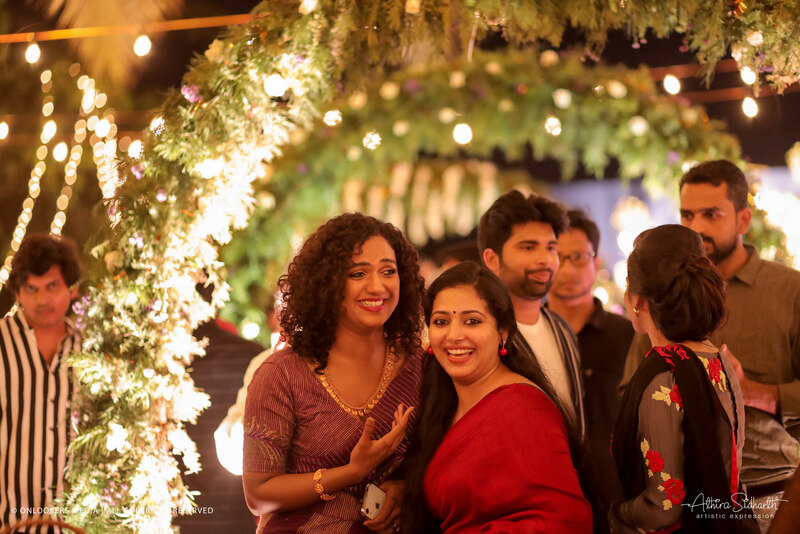 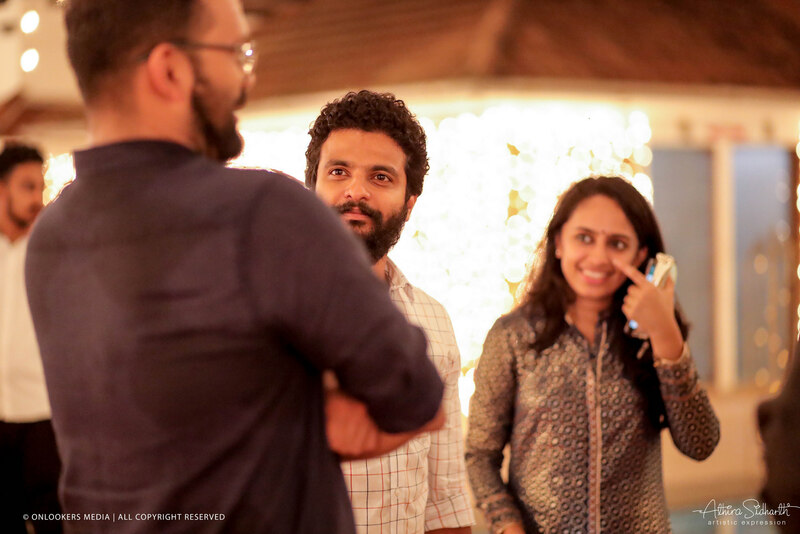 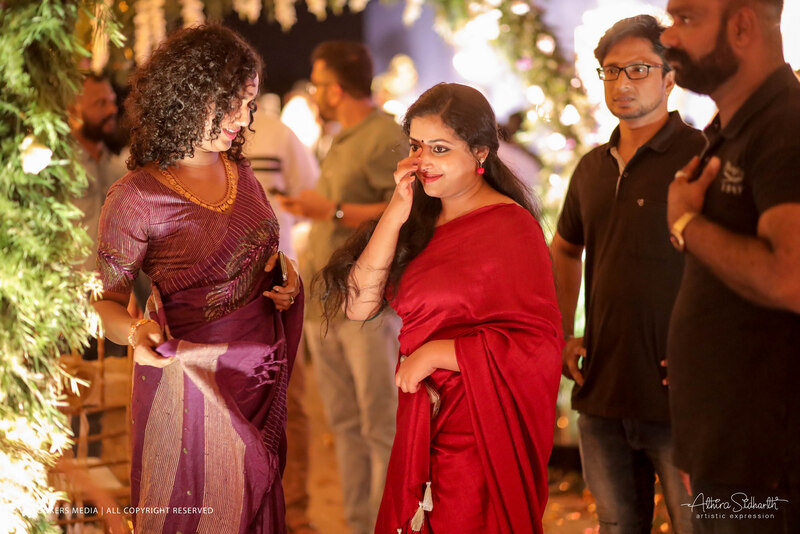 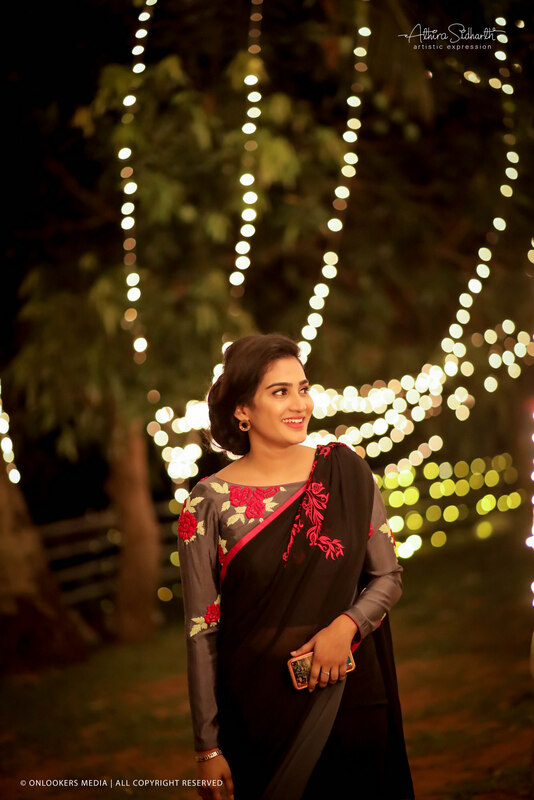 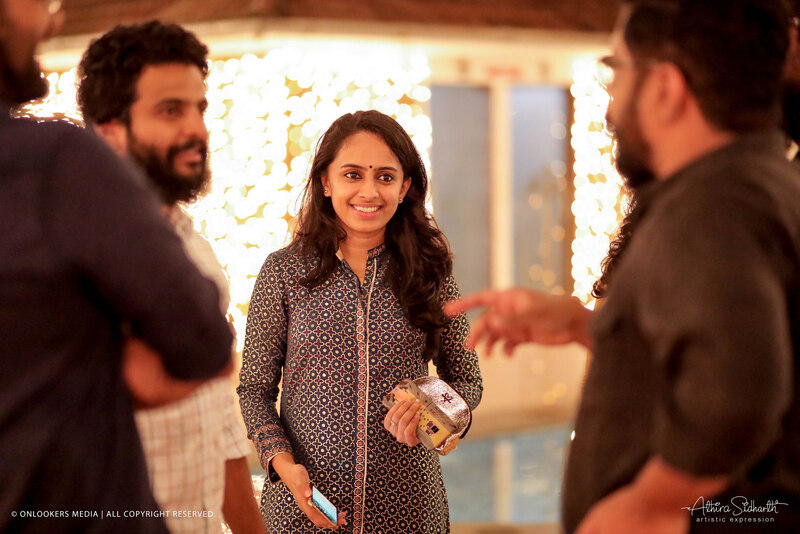 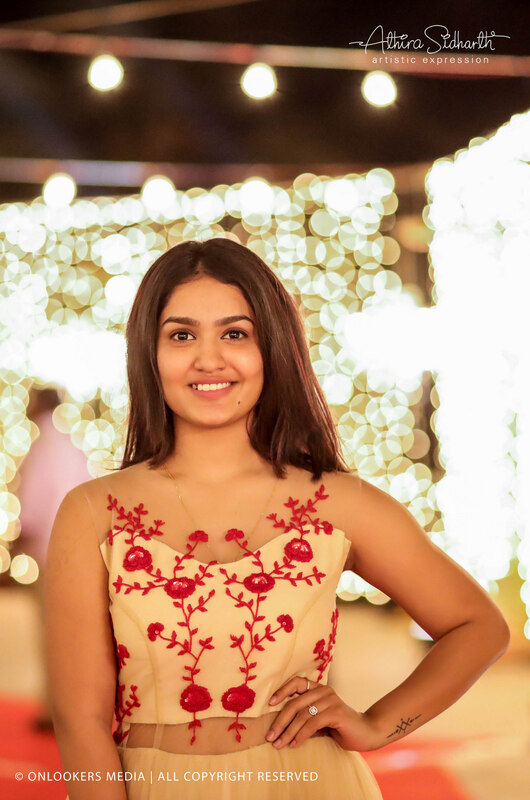 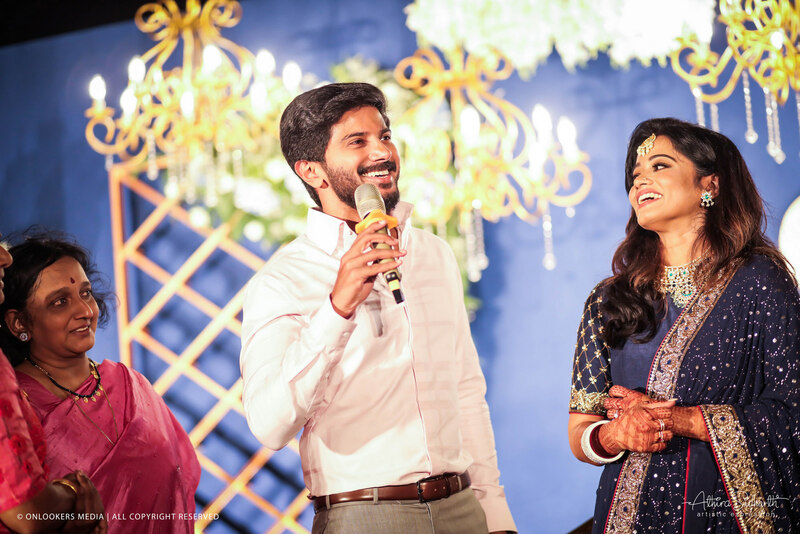 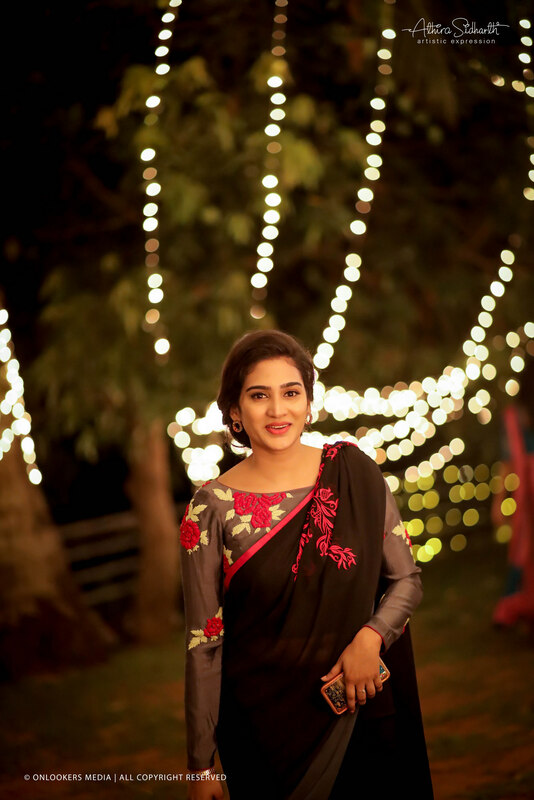 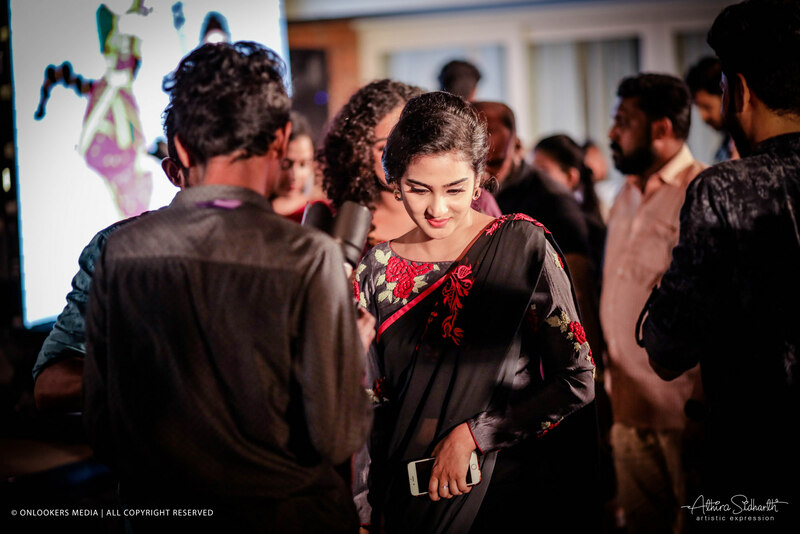 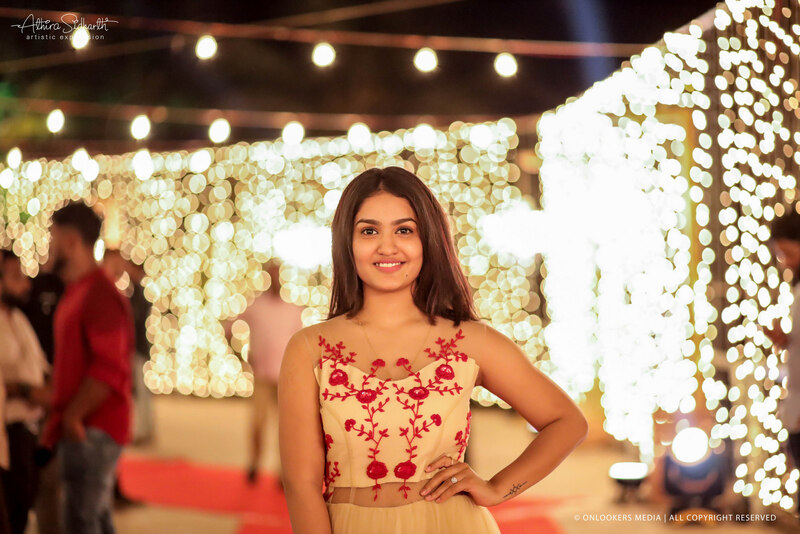 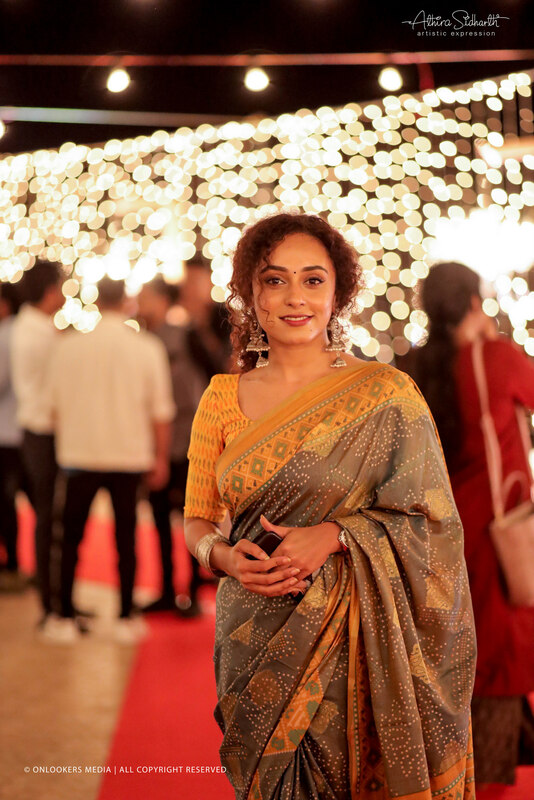 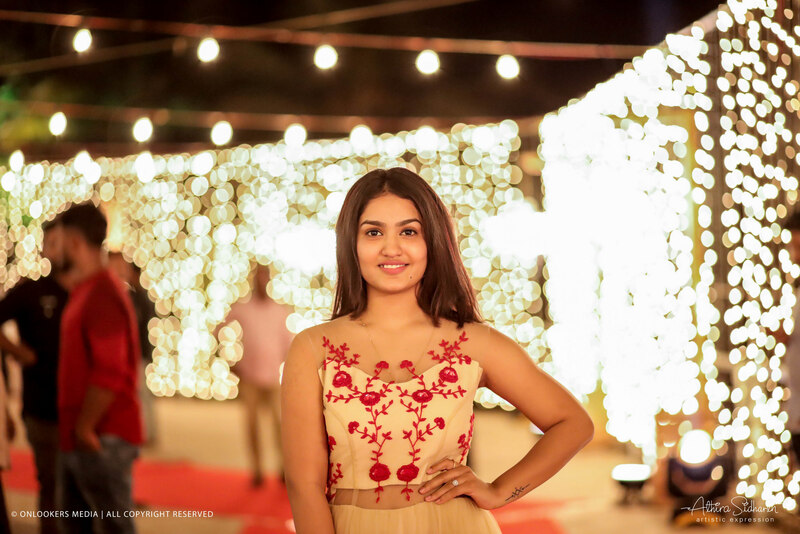 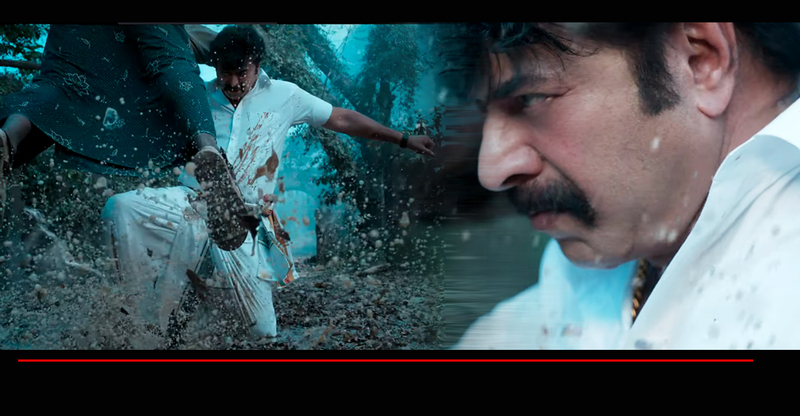 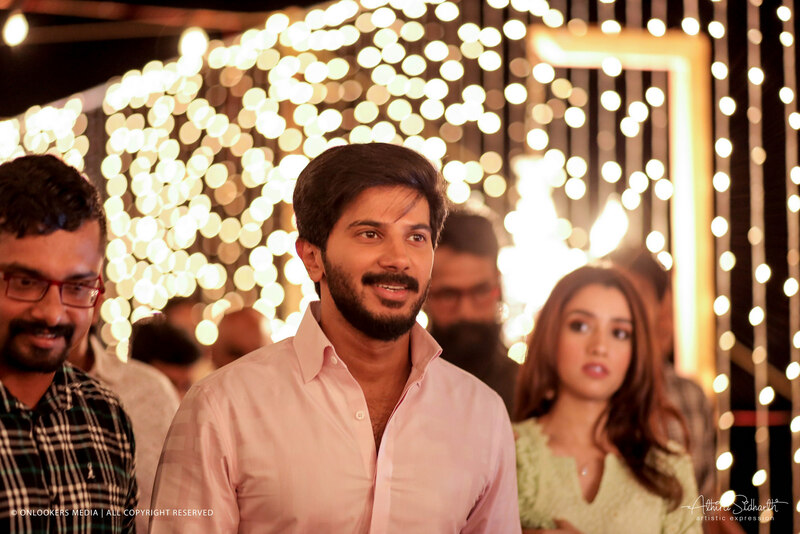 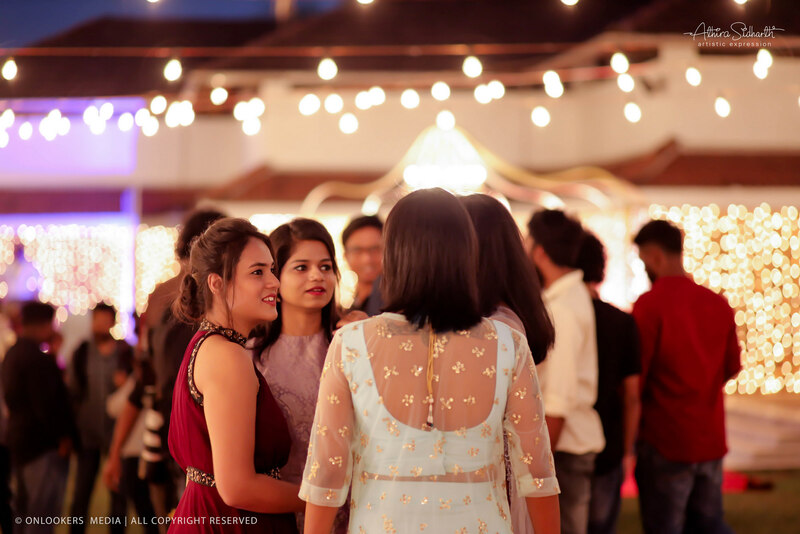 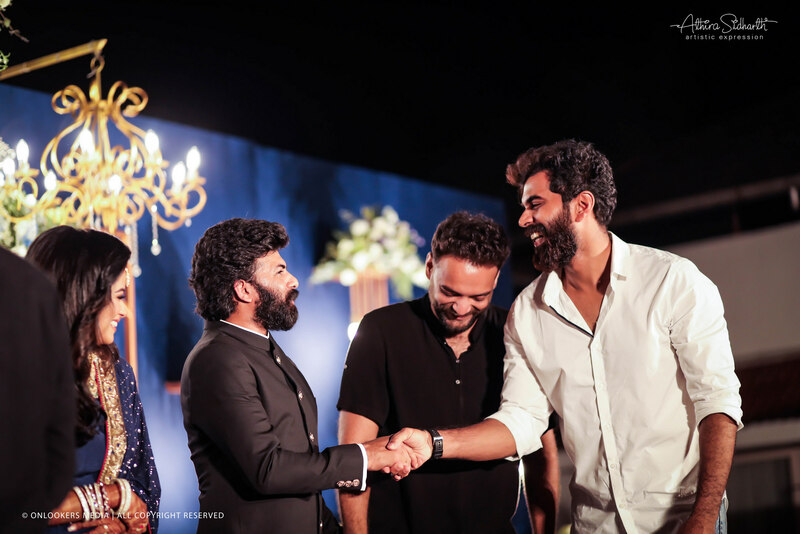 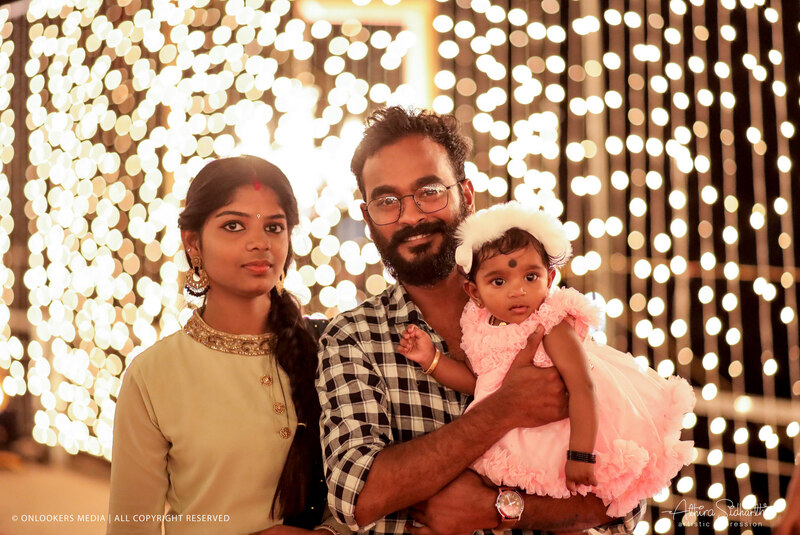 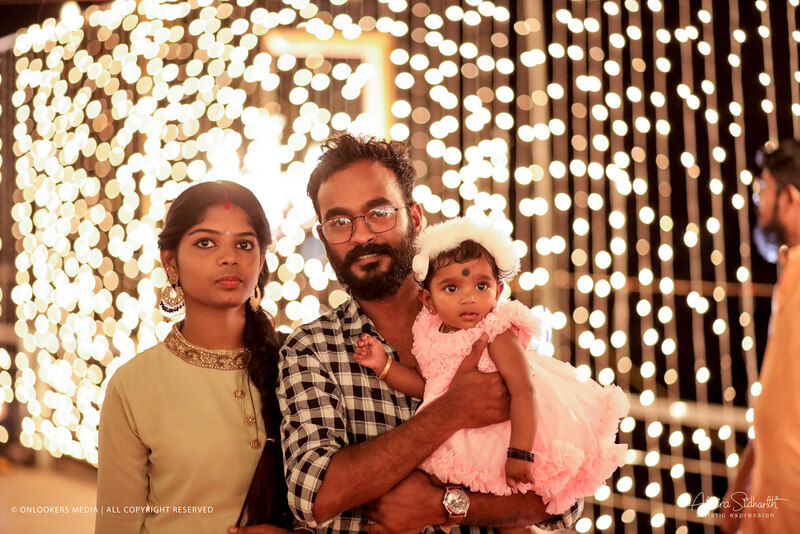 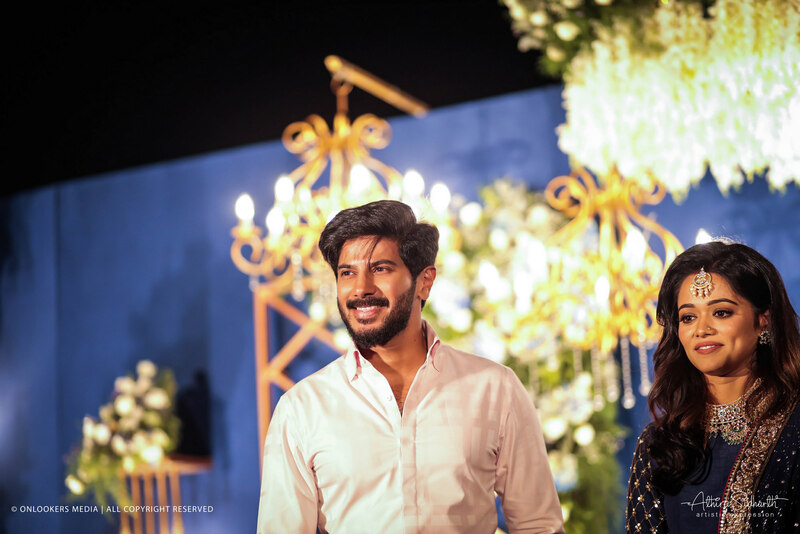 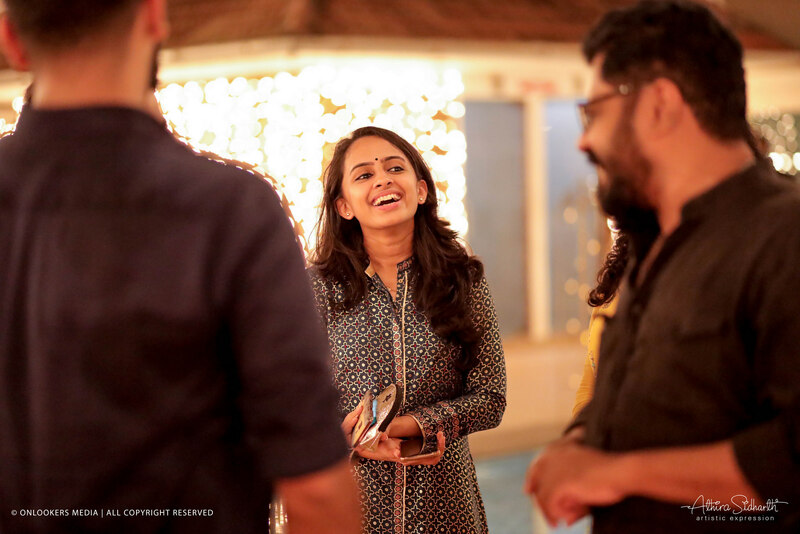 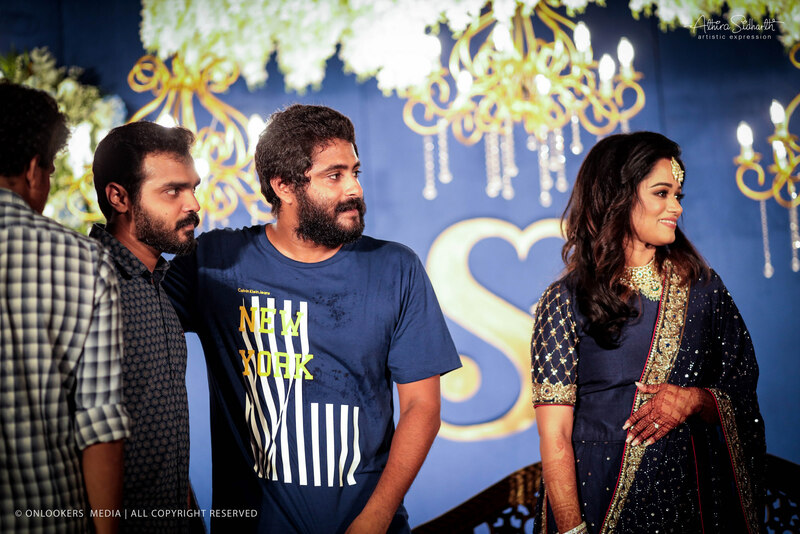 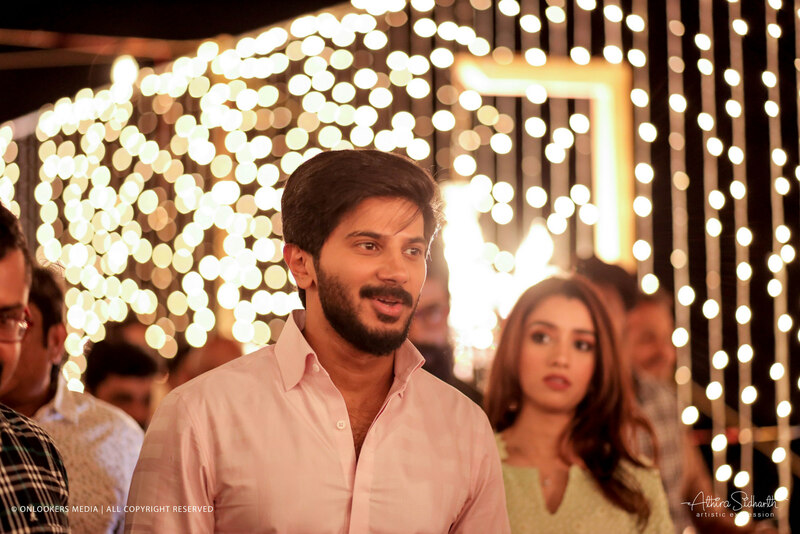 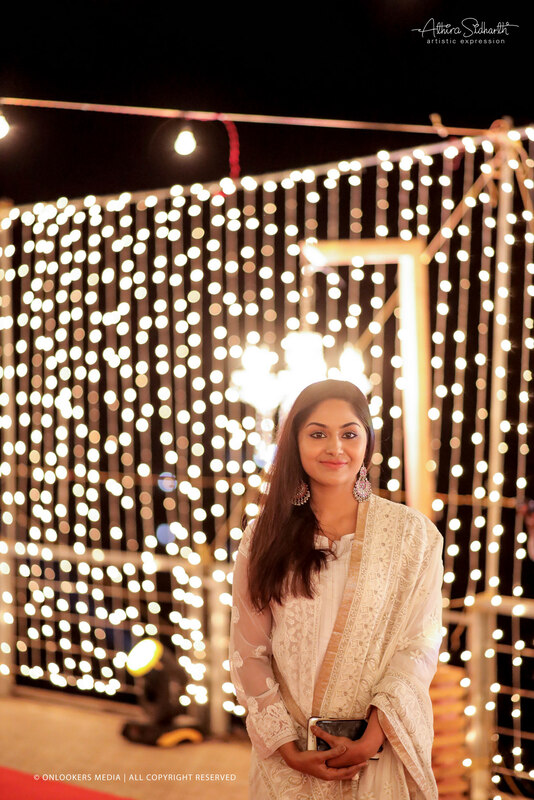 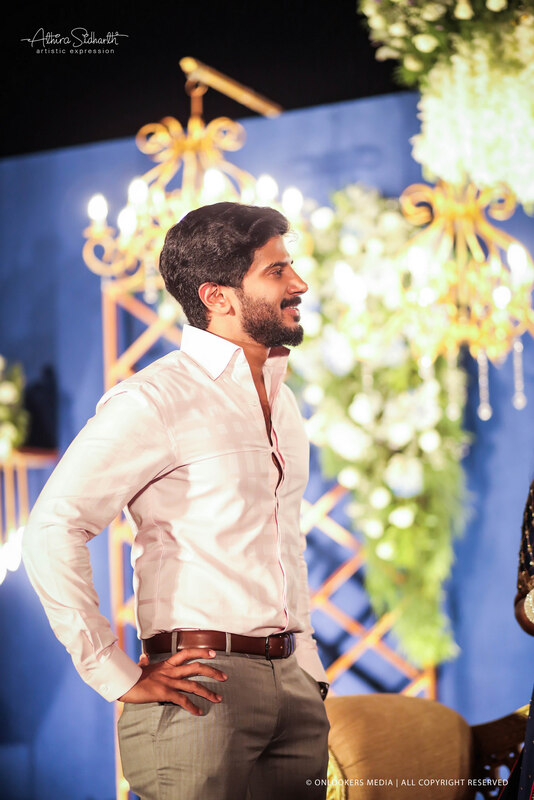 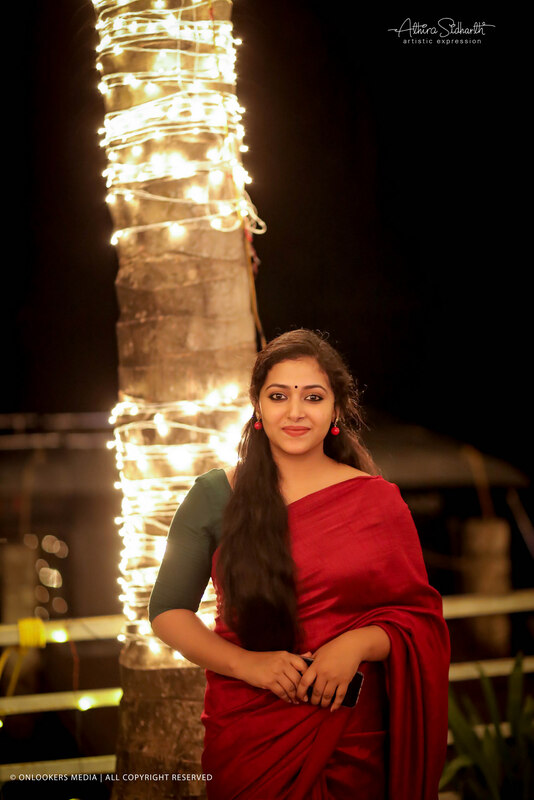 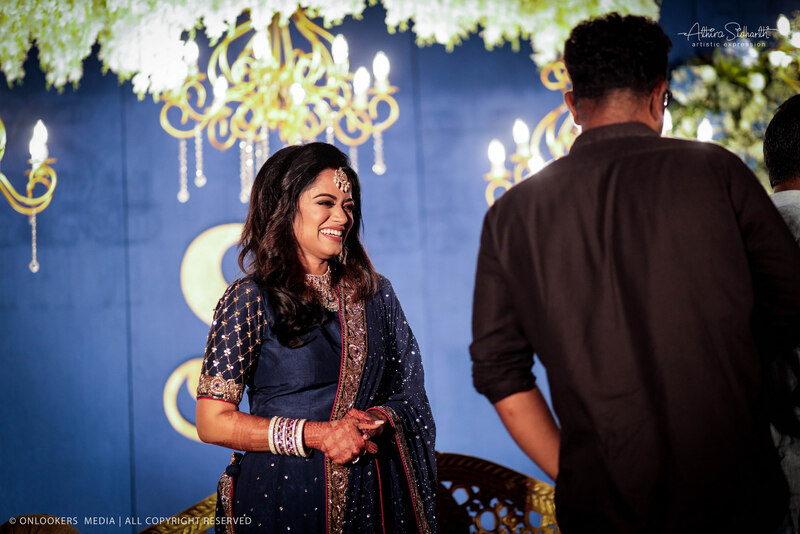 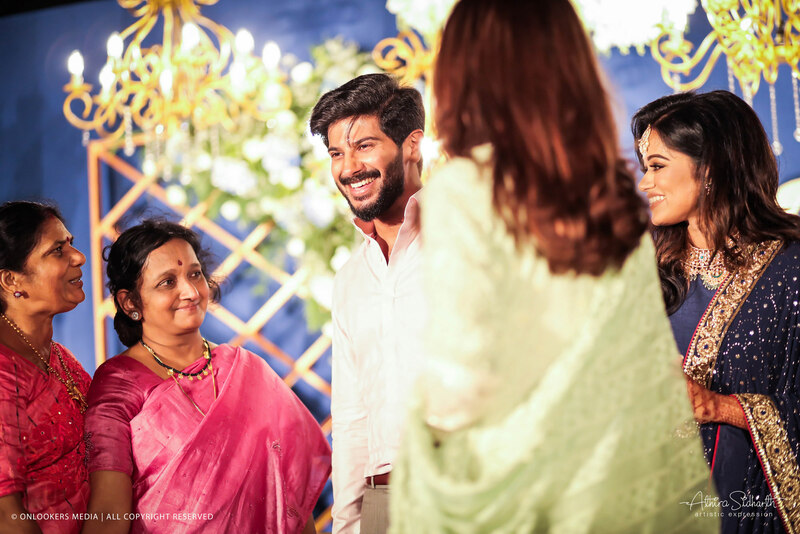 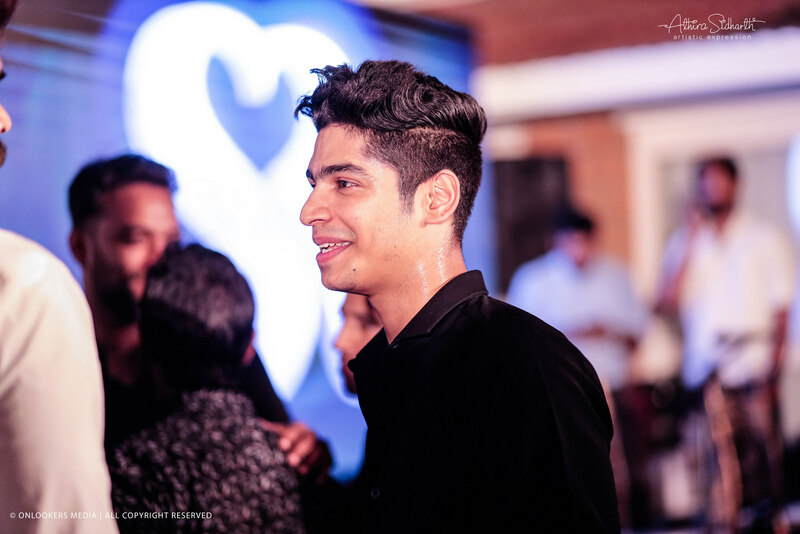 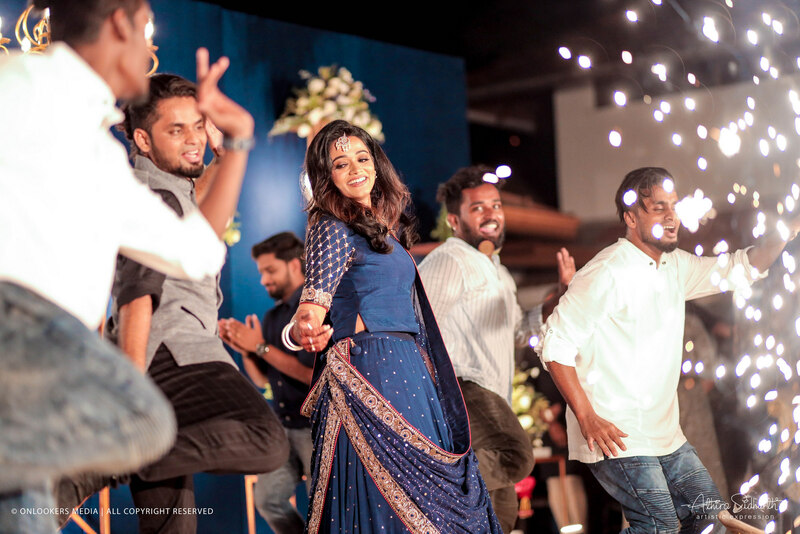 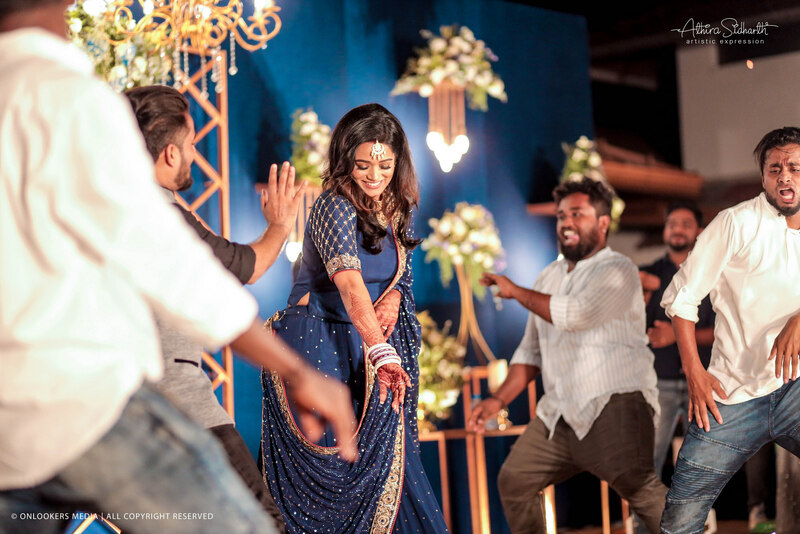 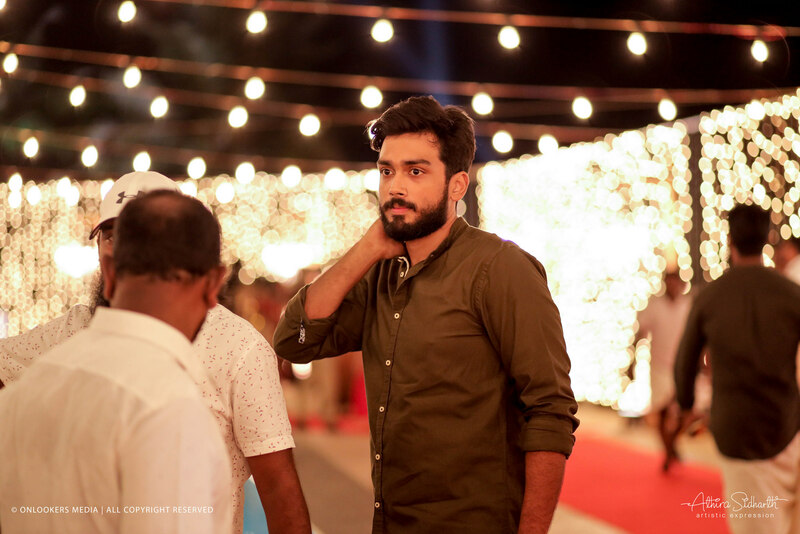 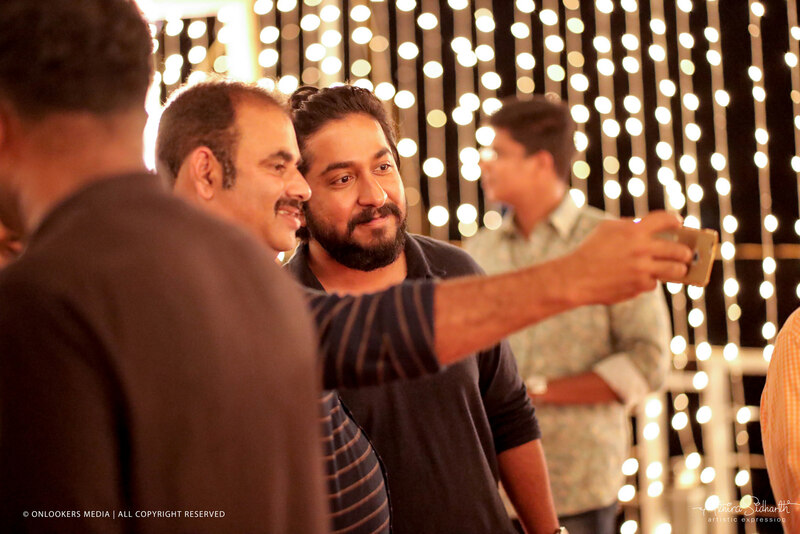 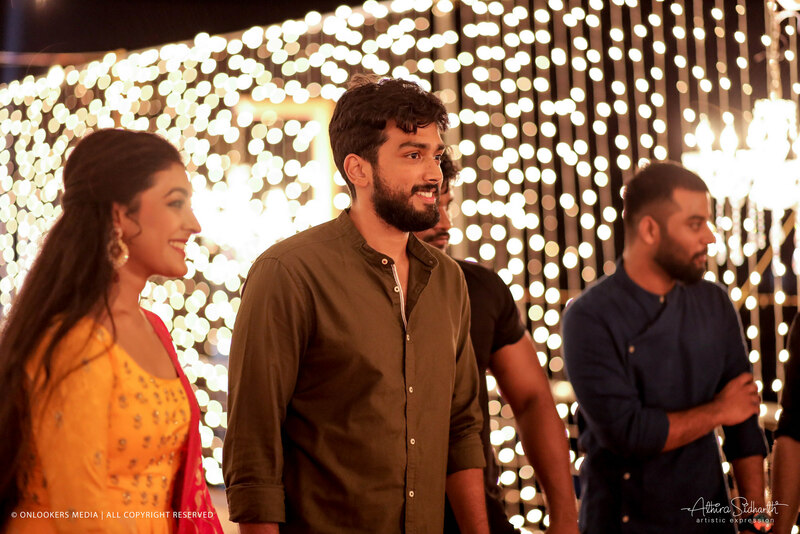 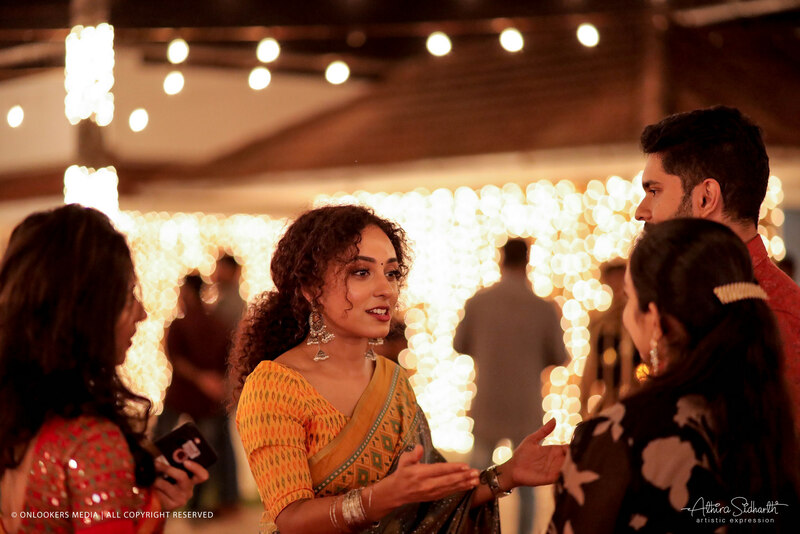 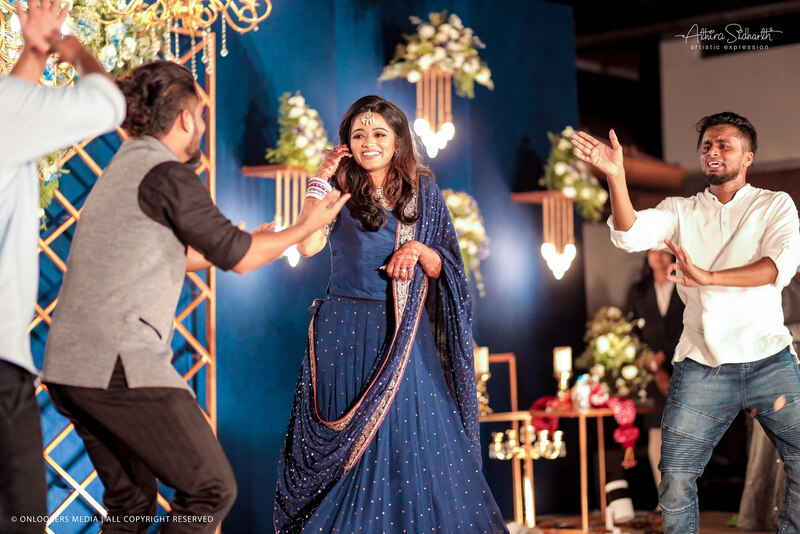 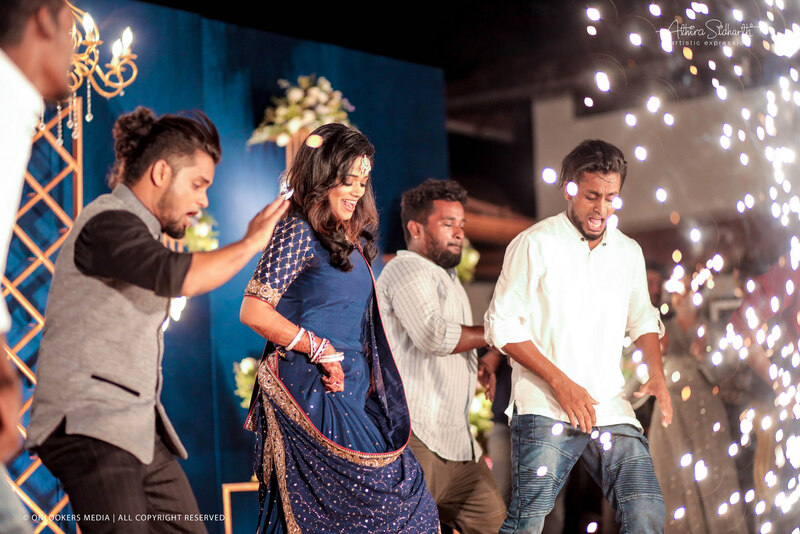 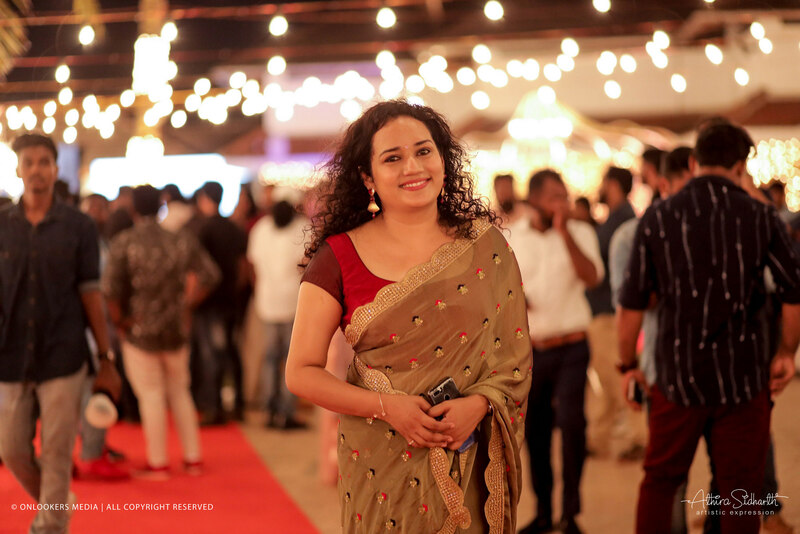 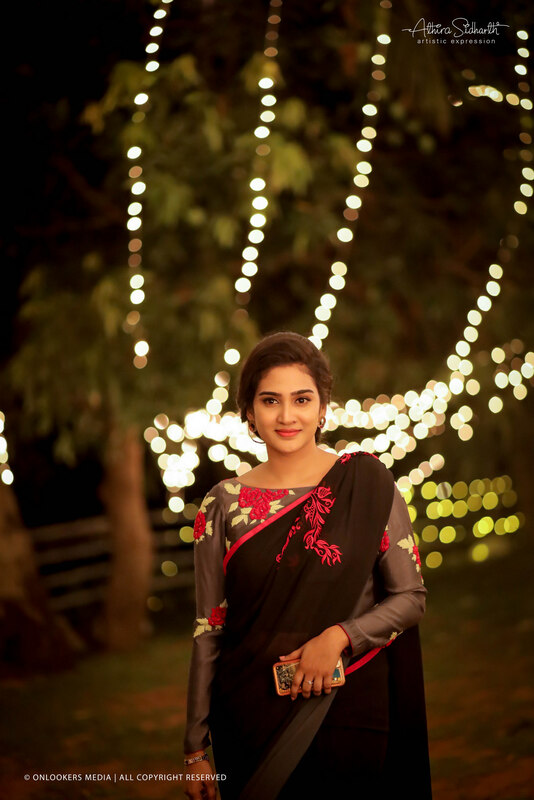 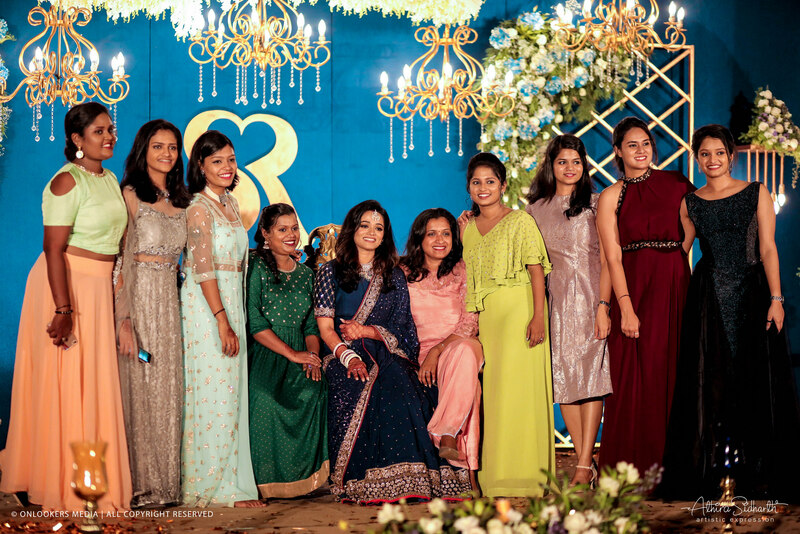 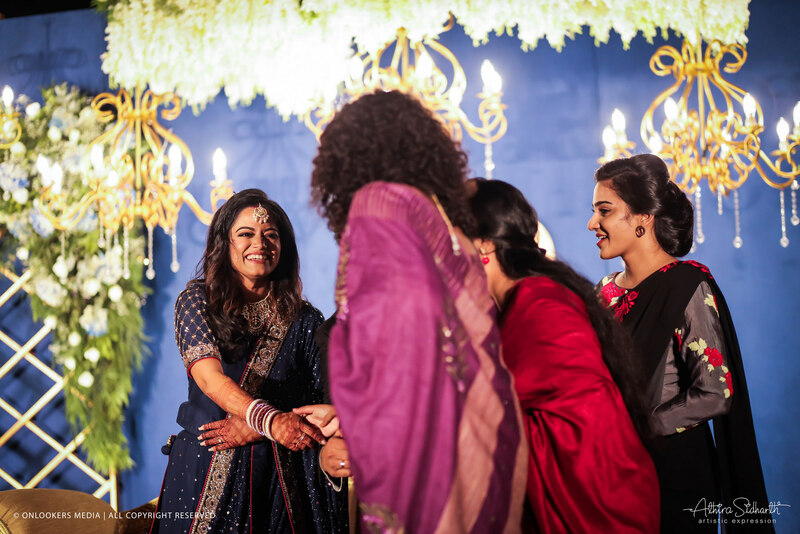 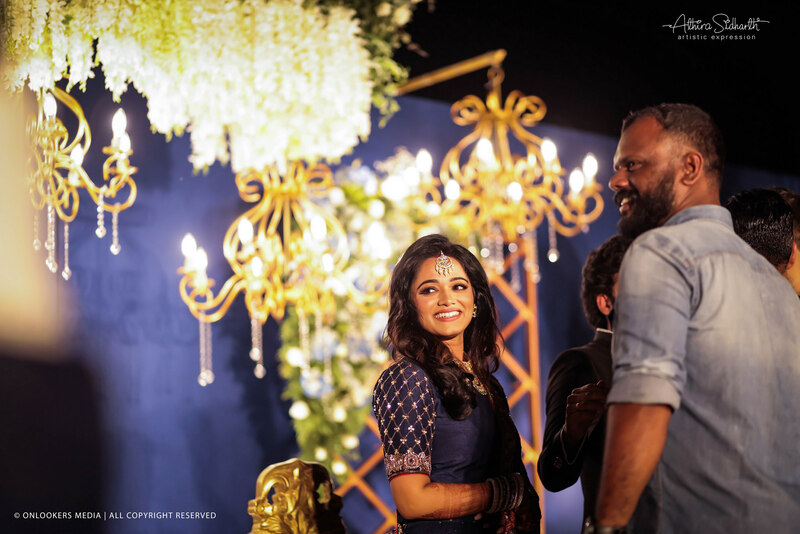 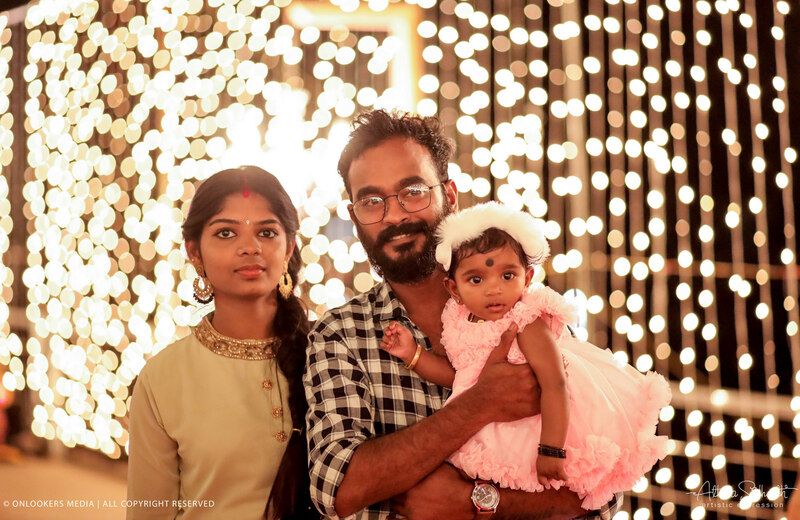 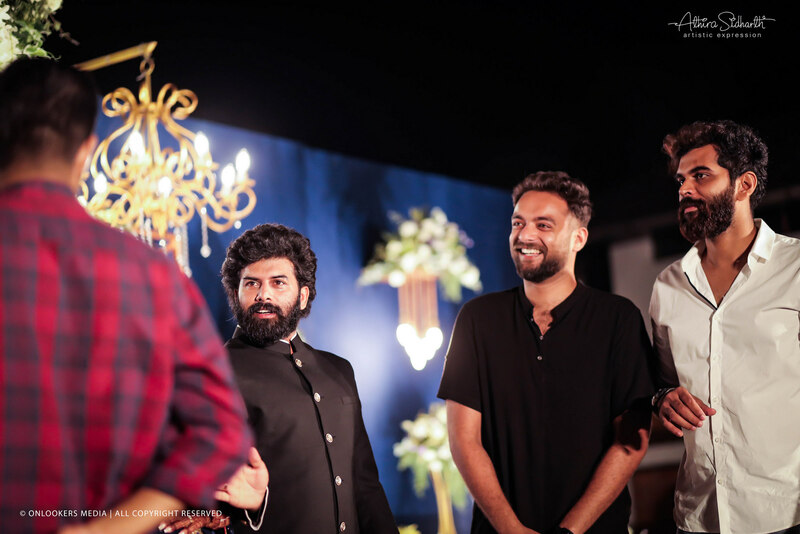 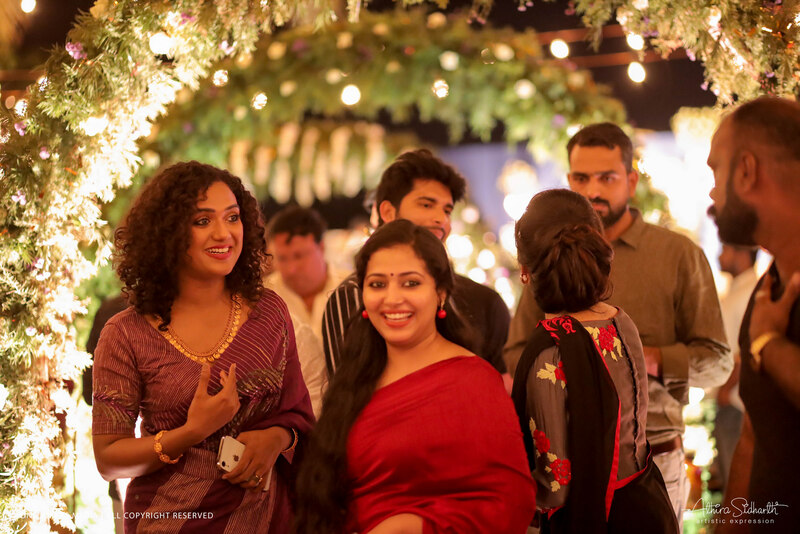 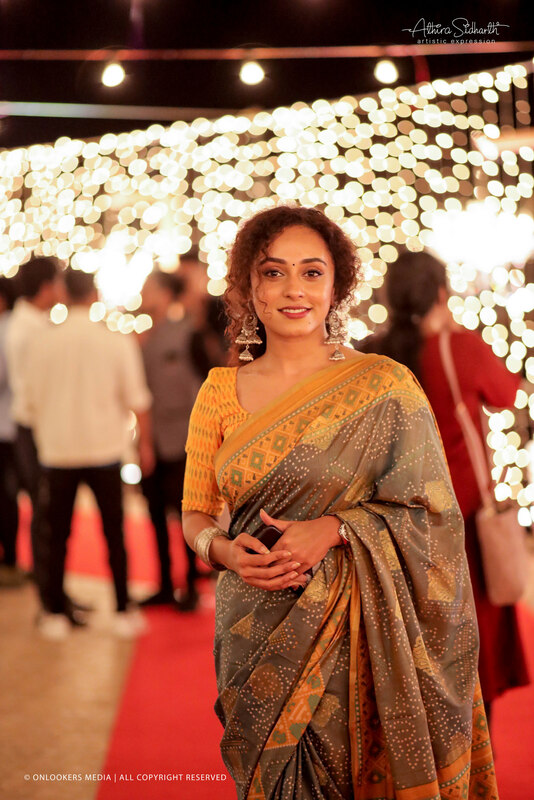 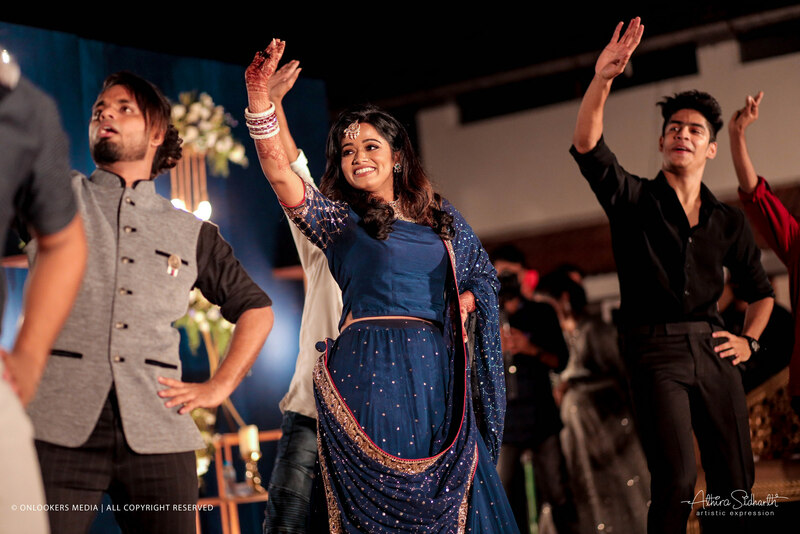 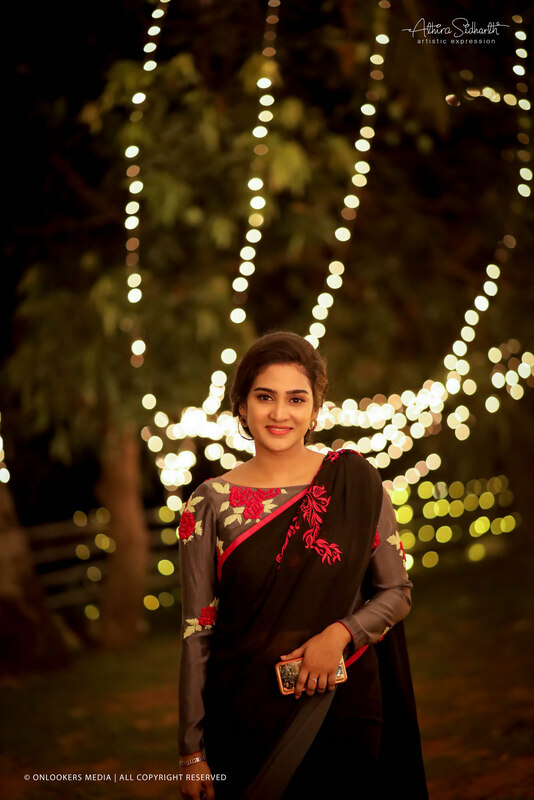 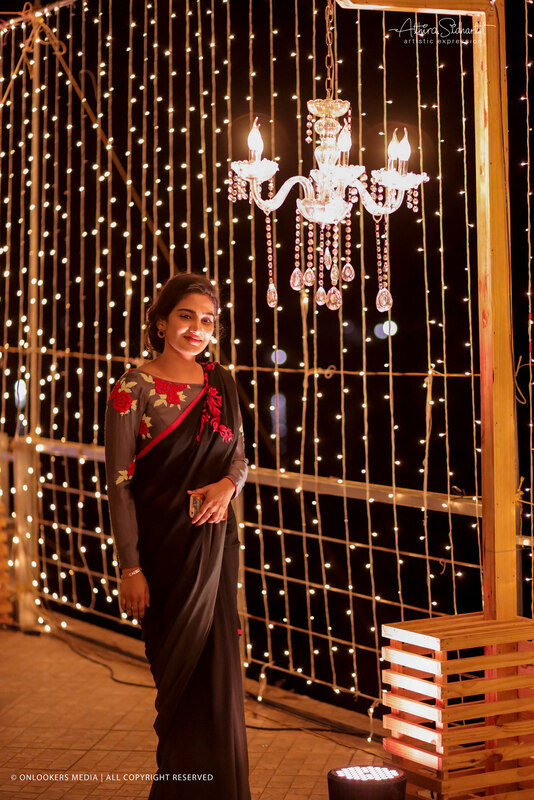 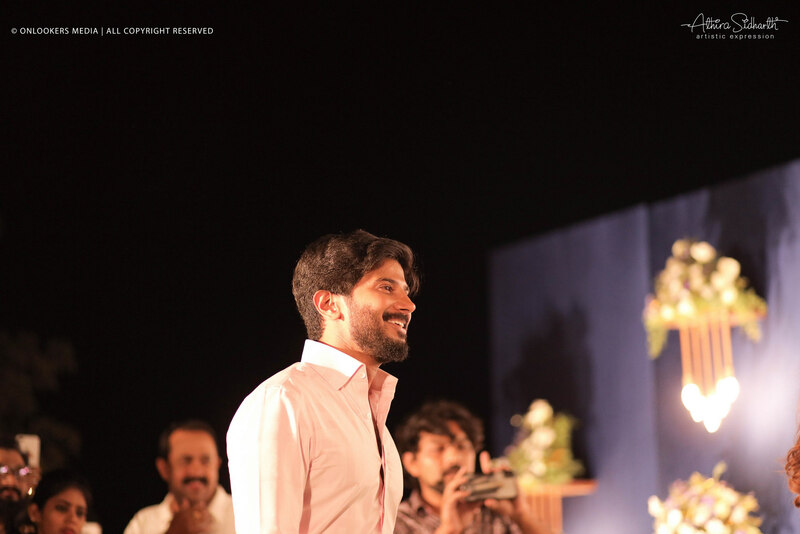 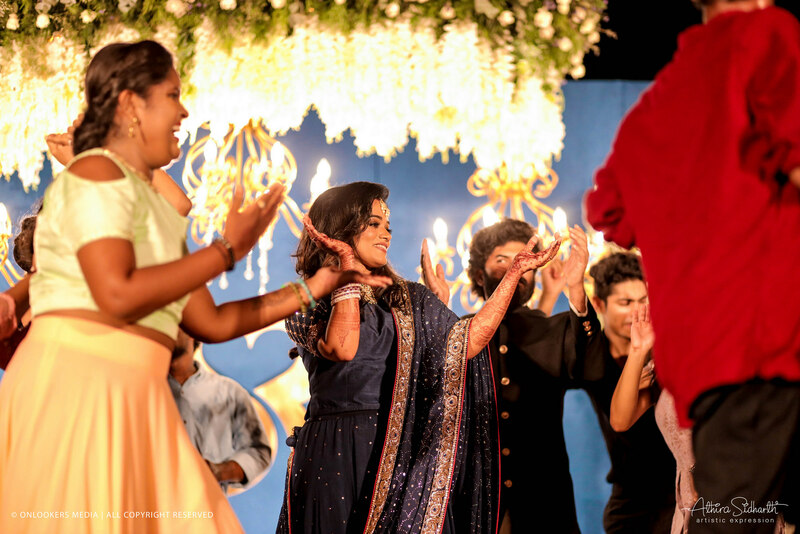 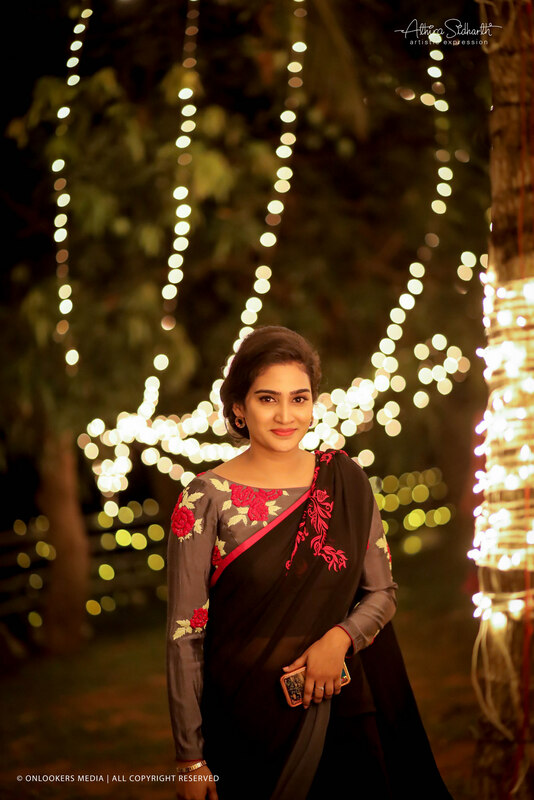 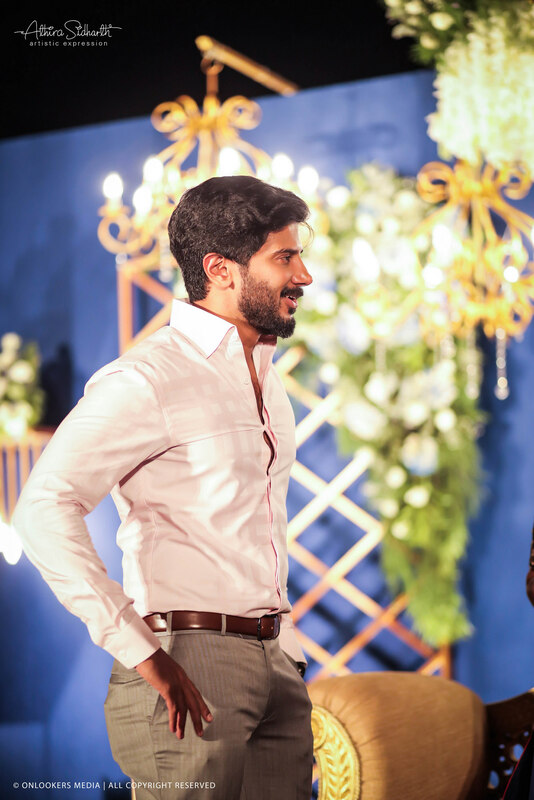 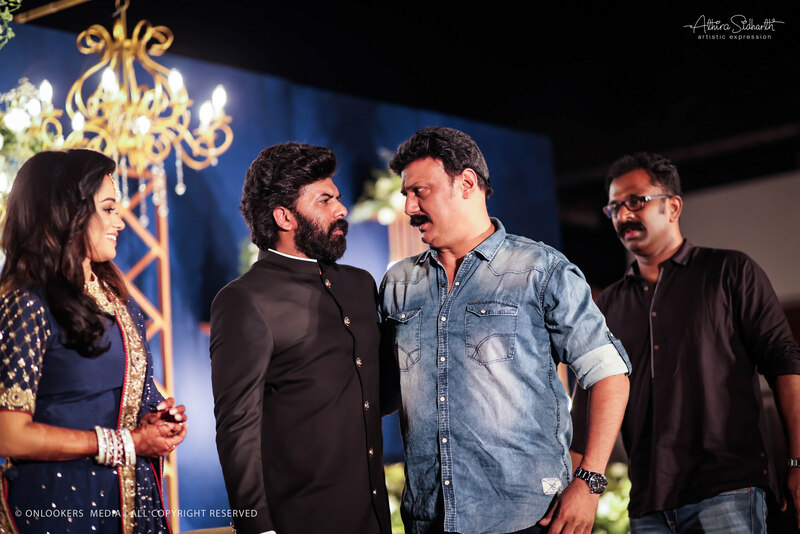 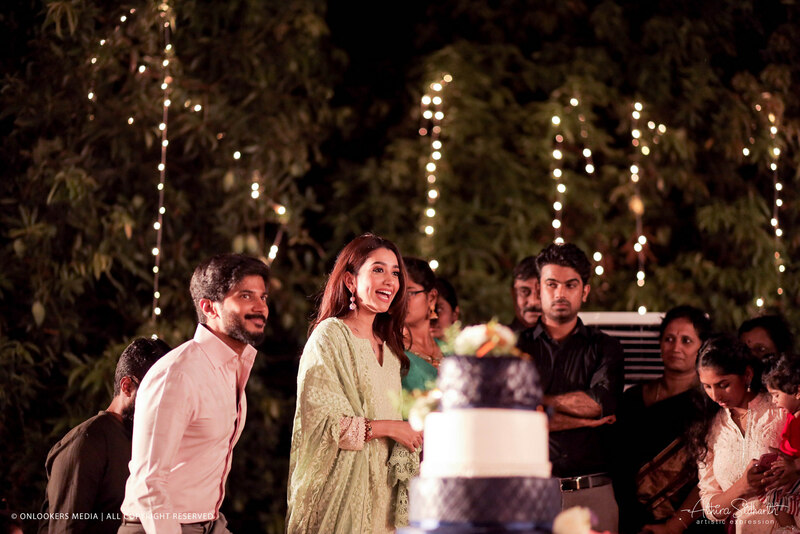 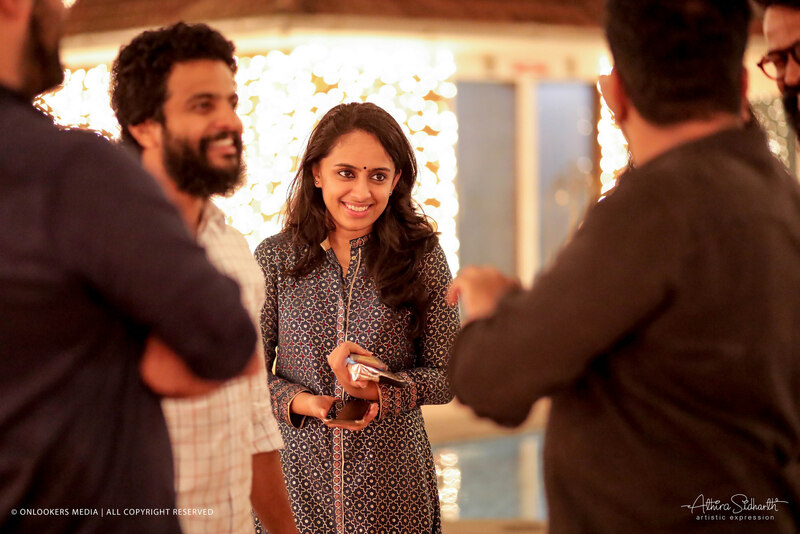 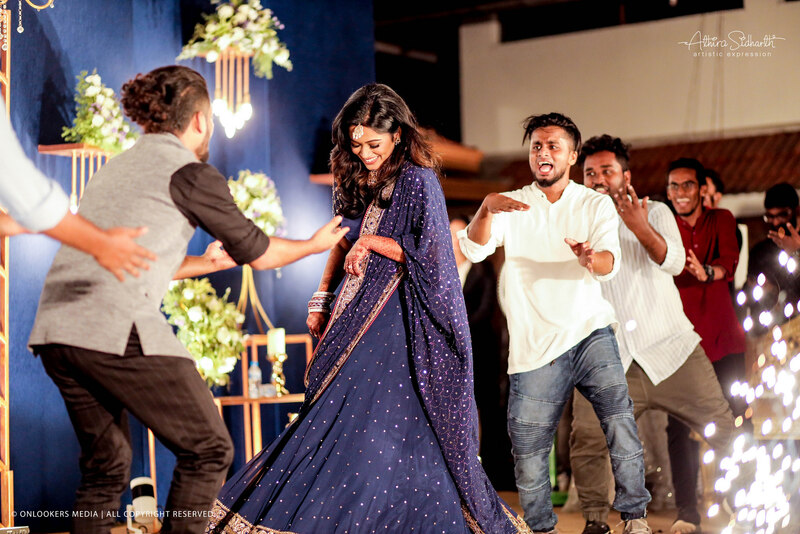 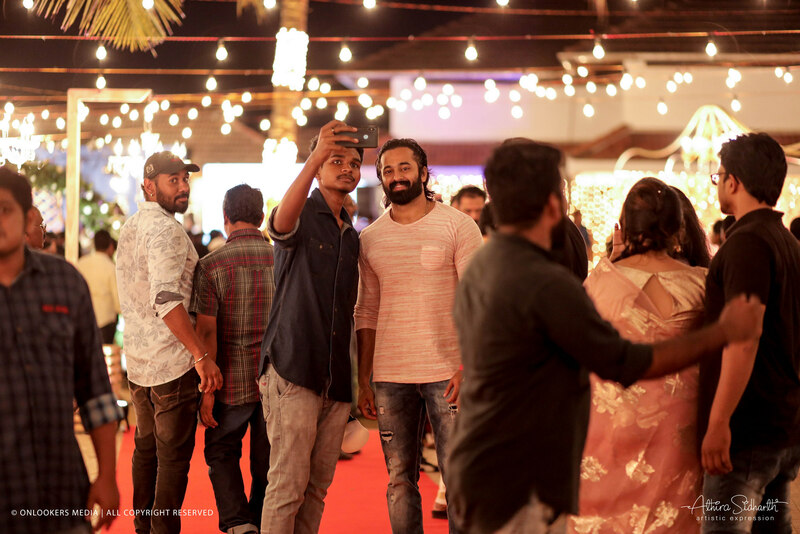 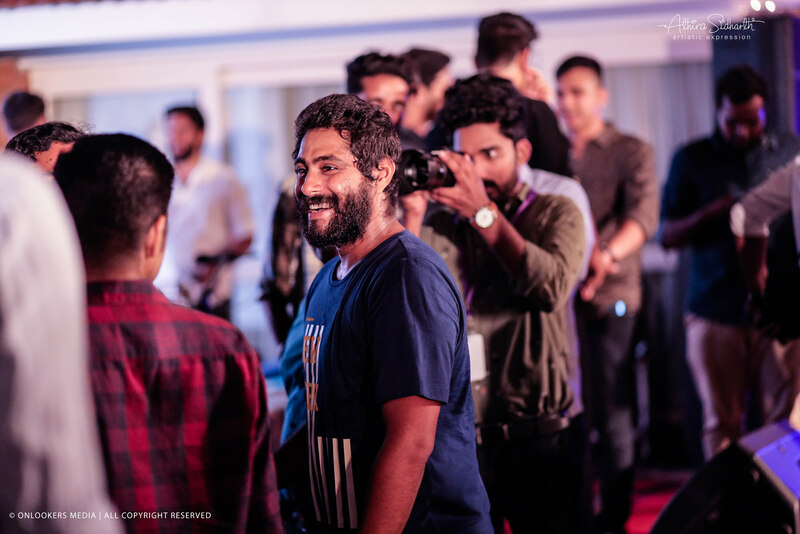 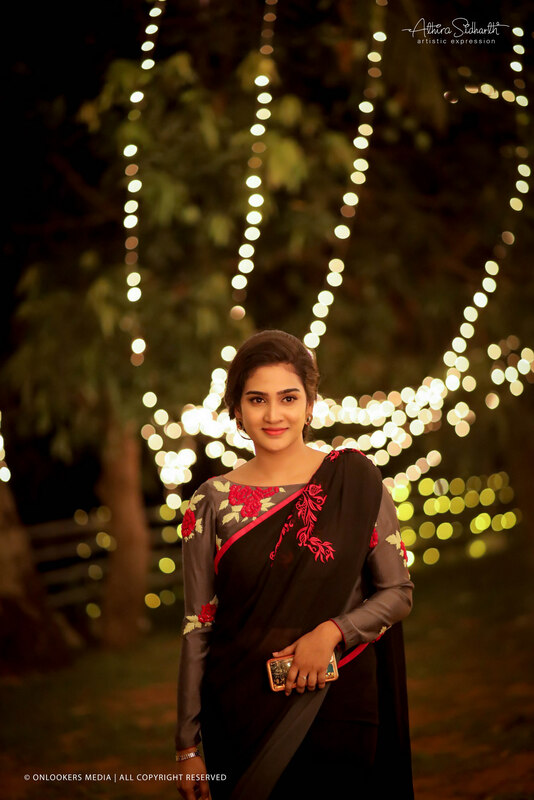 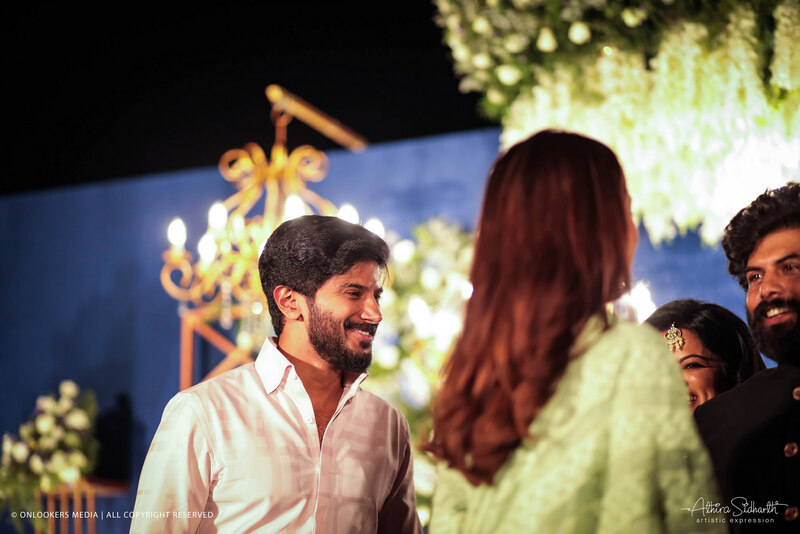 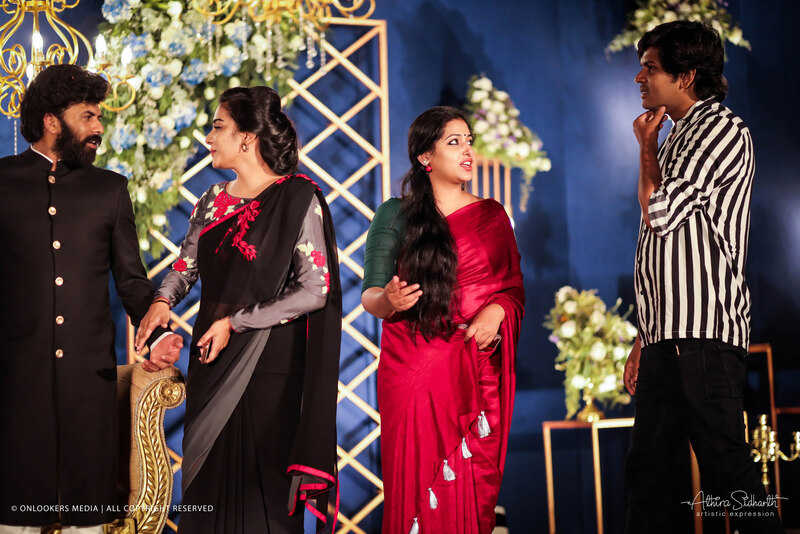 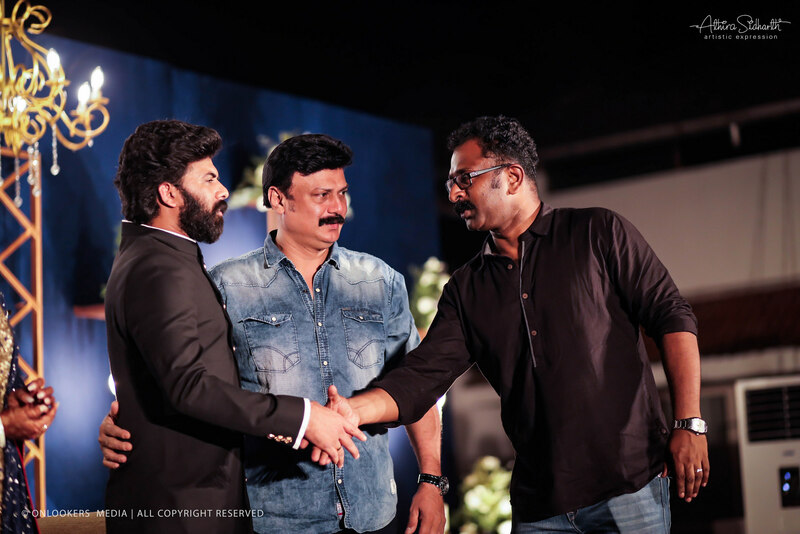 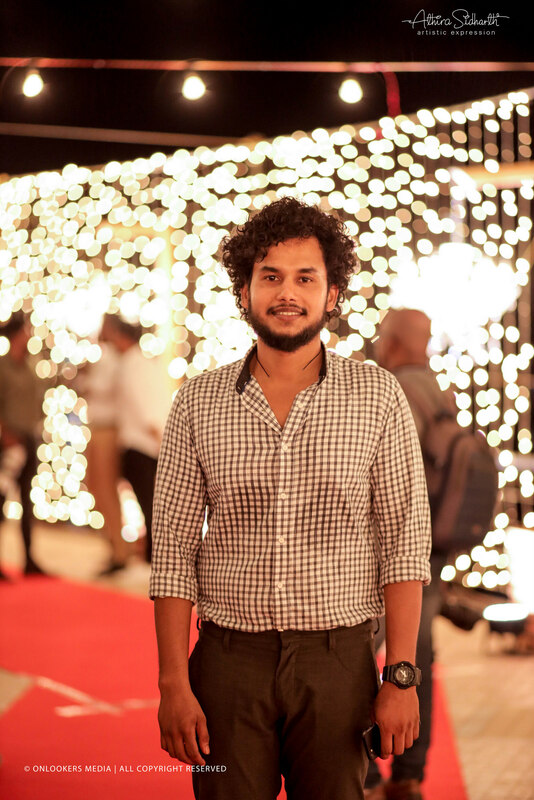 Several top celebrities like Dulquer Salmaan, Unni Mukundan, Kalidas Jayaram, Anu Sithara, Mareena Michael, ’96’ fame Gouri Kishan, Midhun Manuel Thomas, Vineeth Sreenivasan, Biju Menon, Vijayaraghavan and many others attended the event. 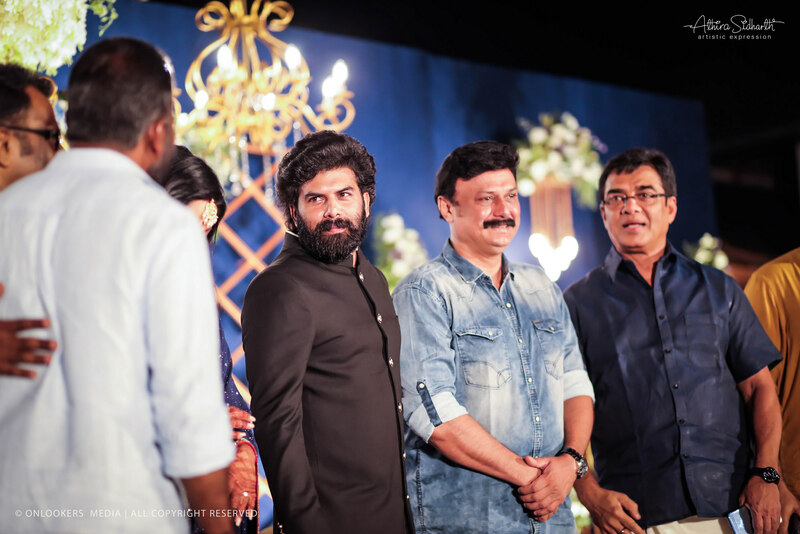 Here we have a collection of photos from the star studded event.